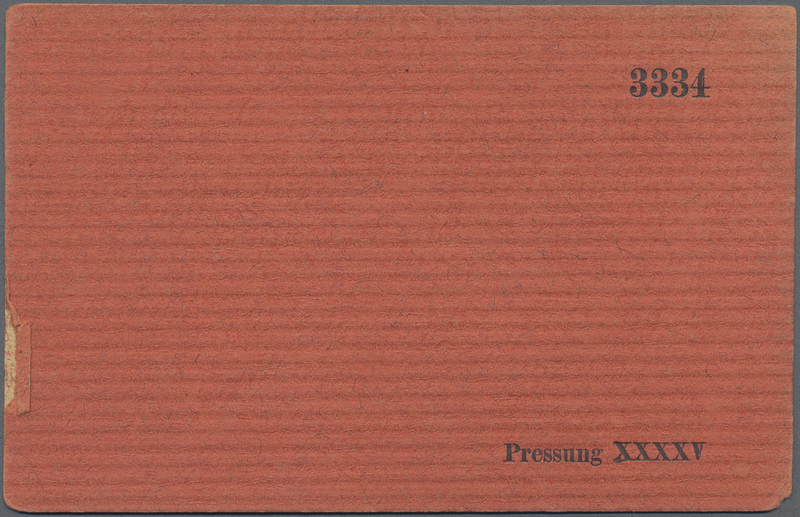 23902 Ganzsache (Complete) 16ad, LP1 1912. 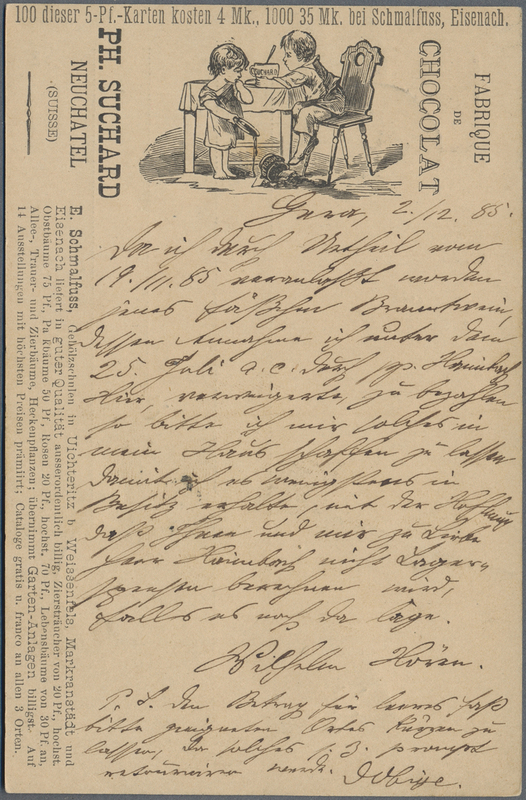 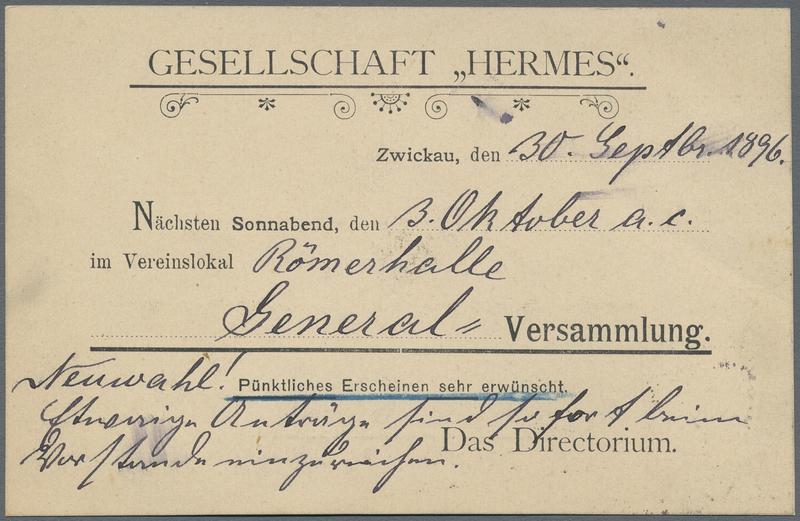 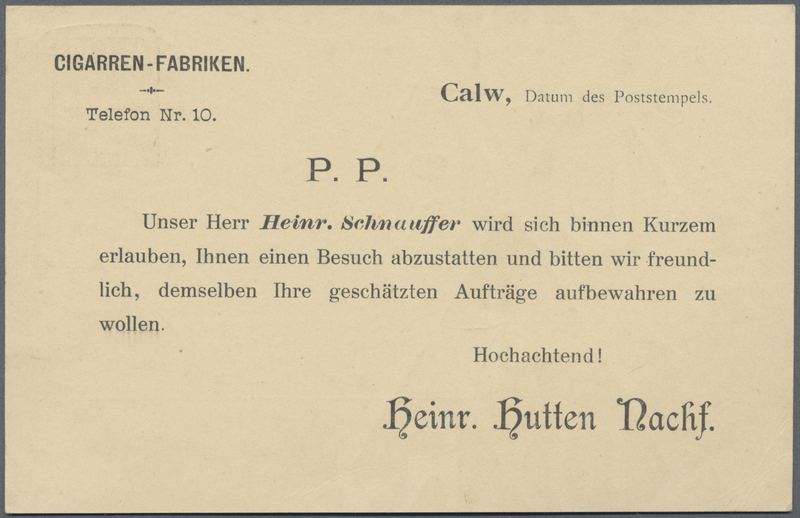 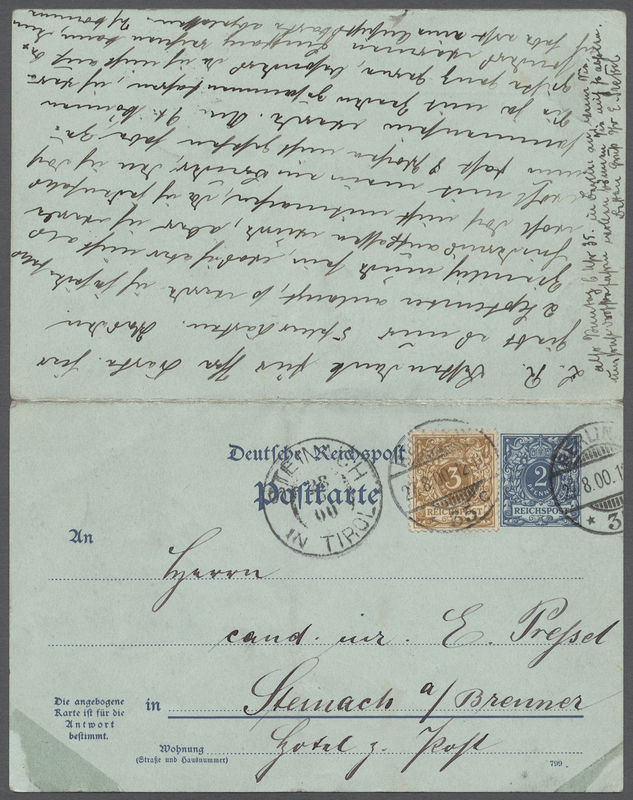 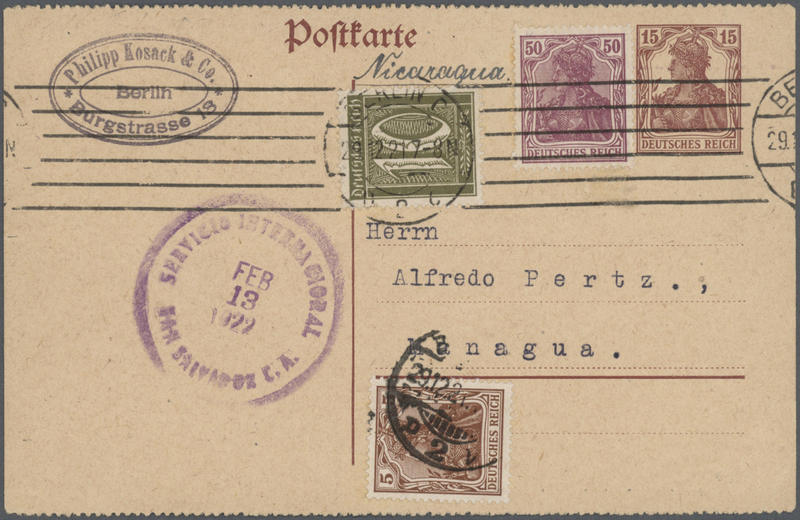 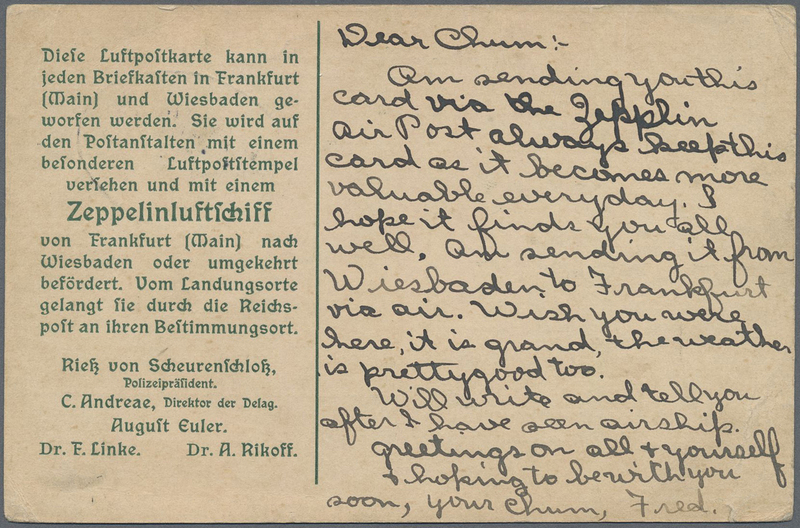 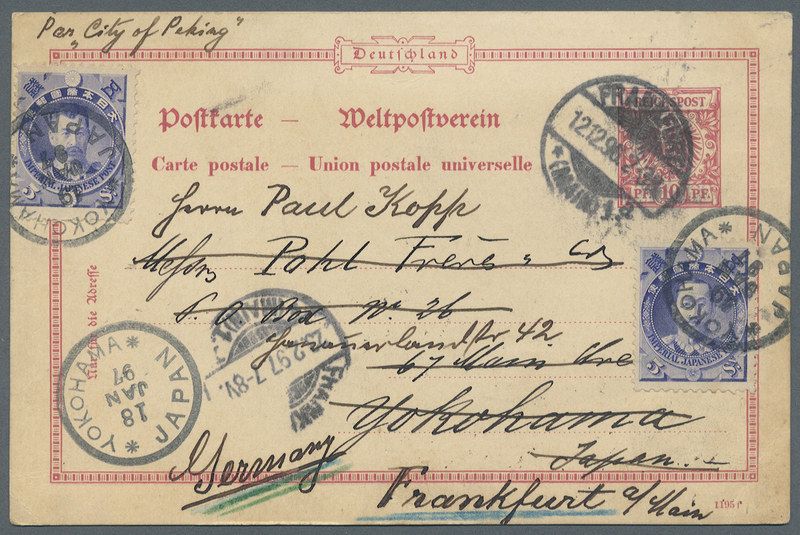 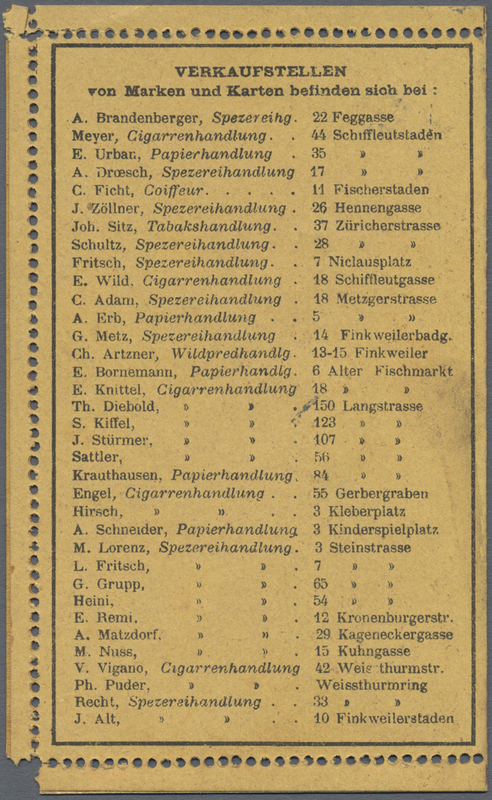 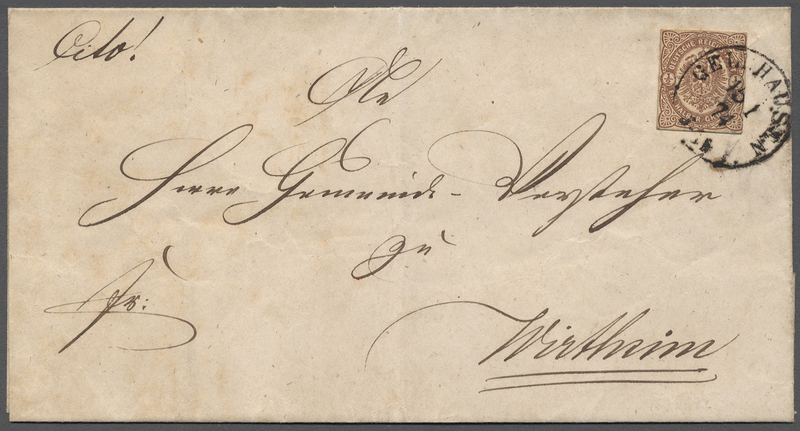 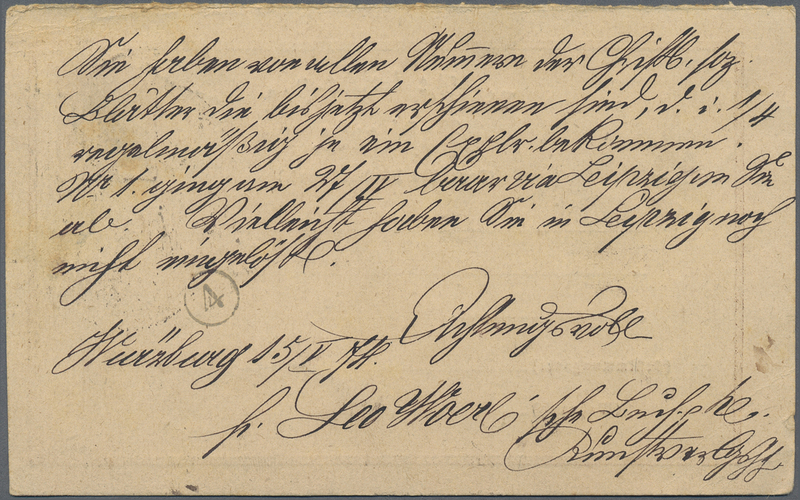 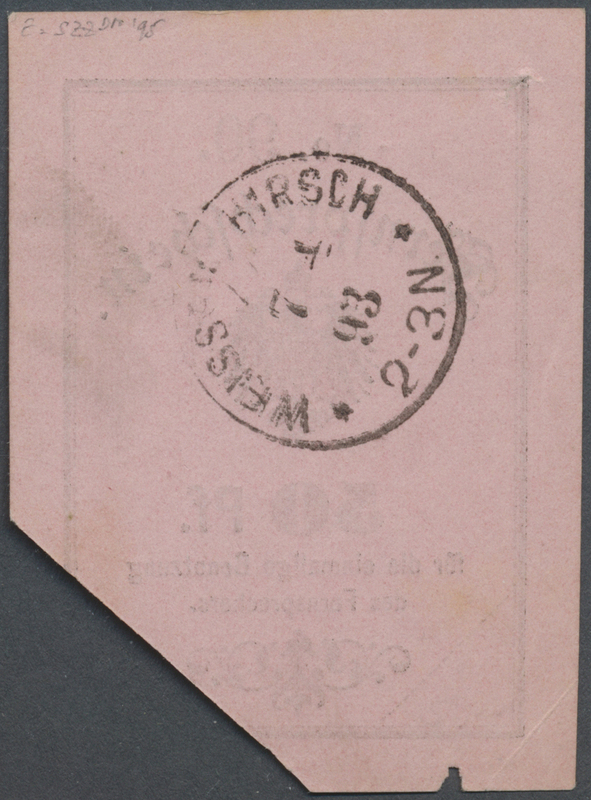 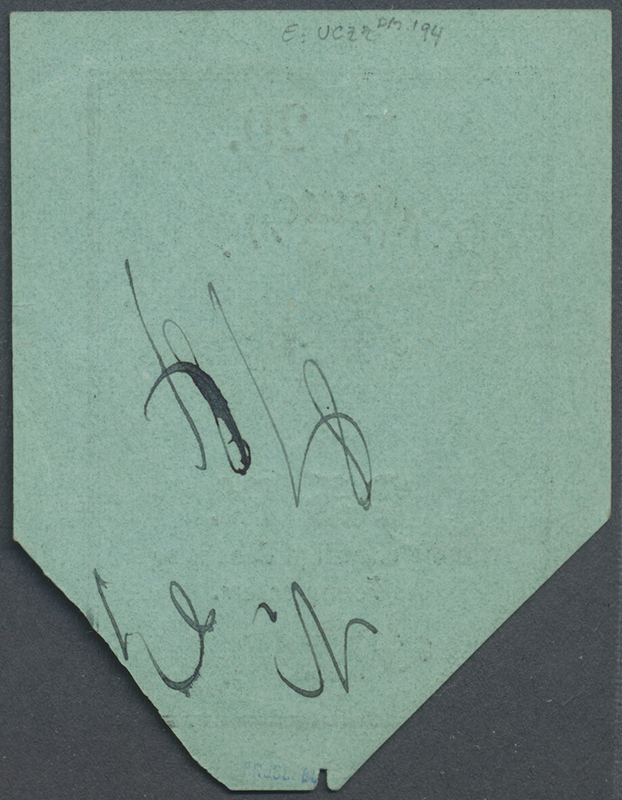 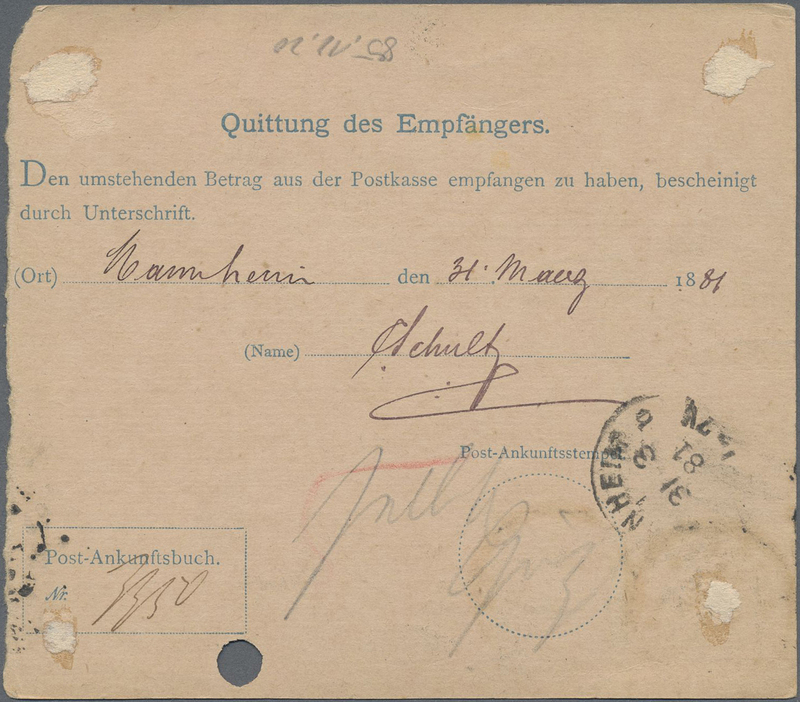 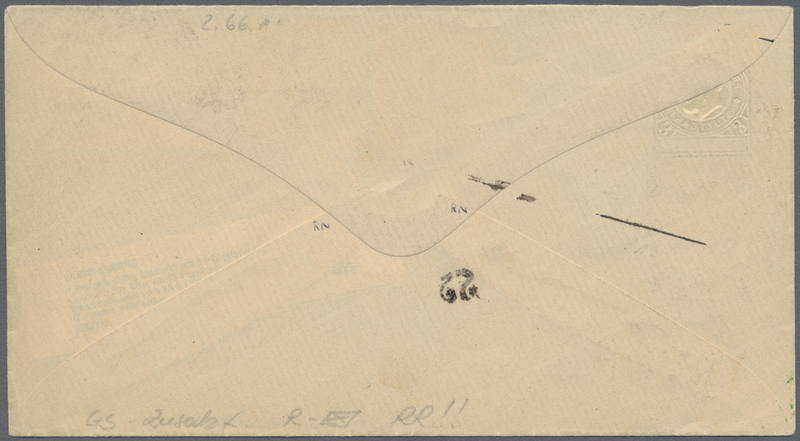 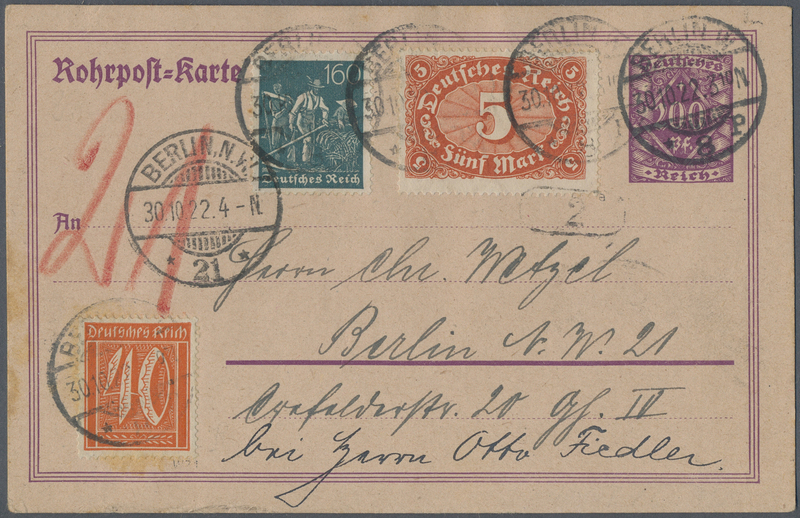 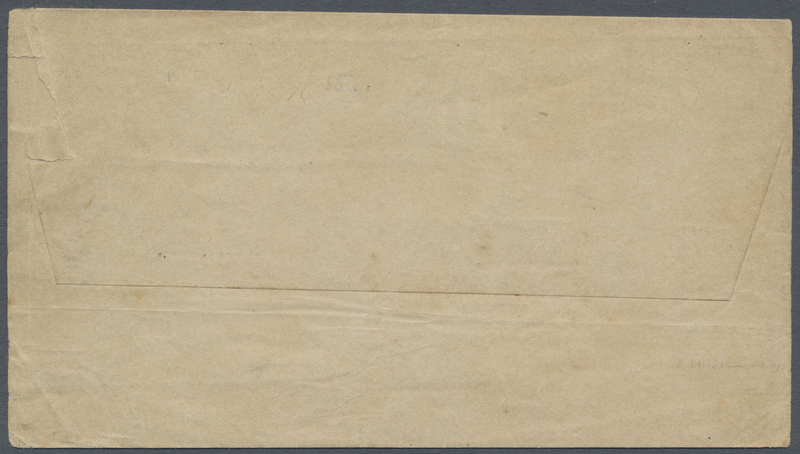 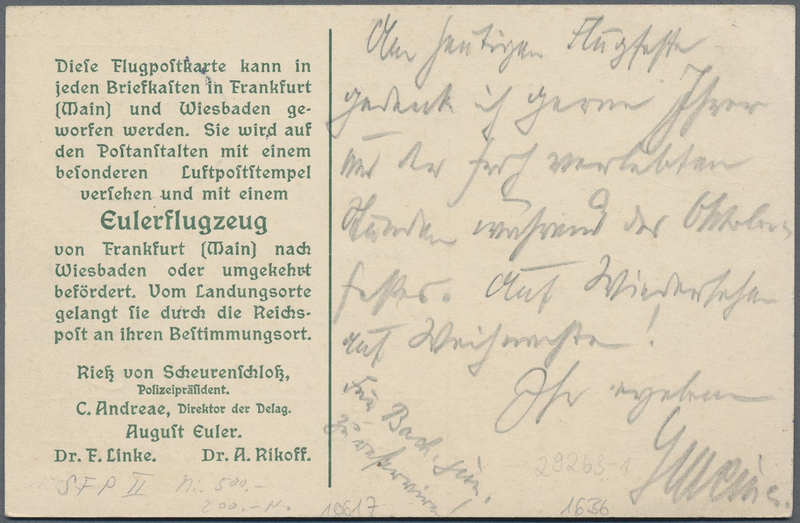 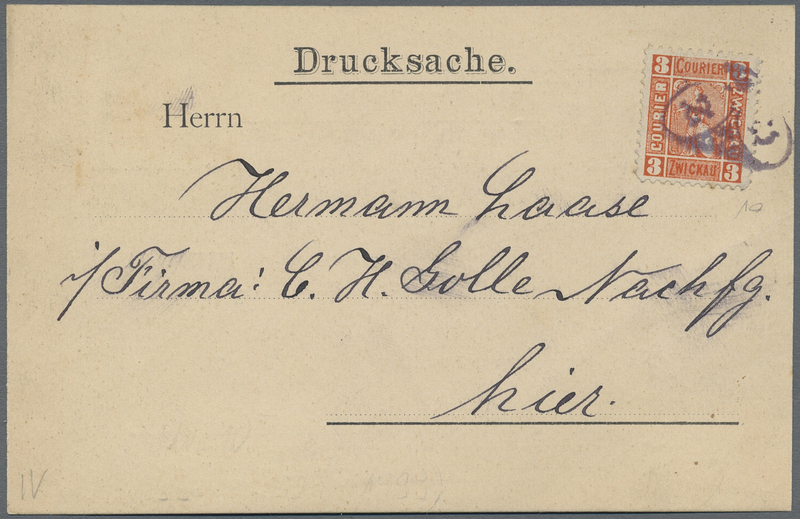 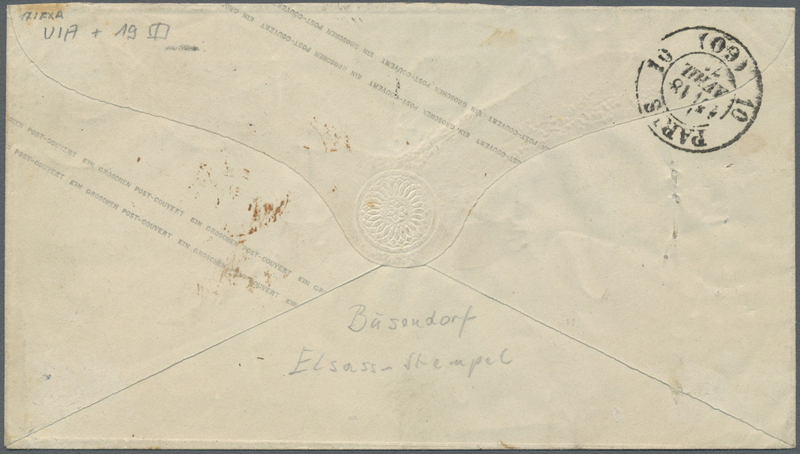 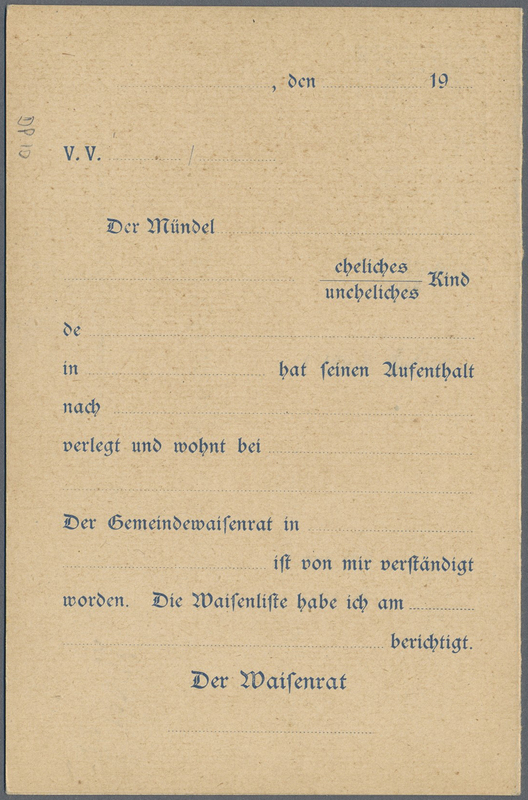 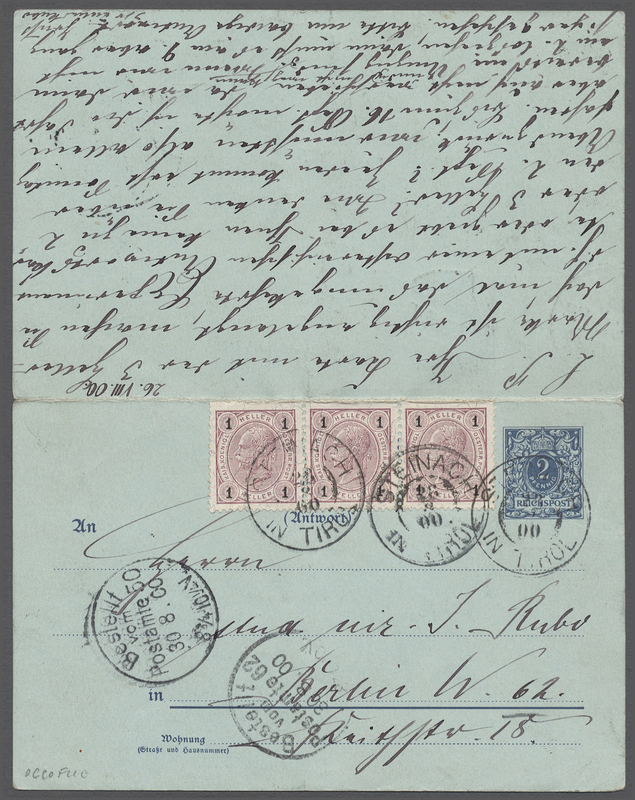 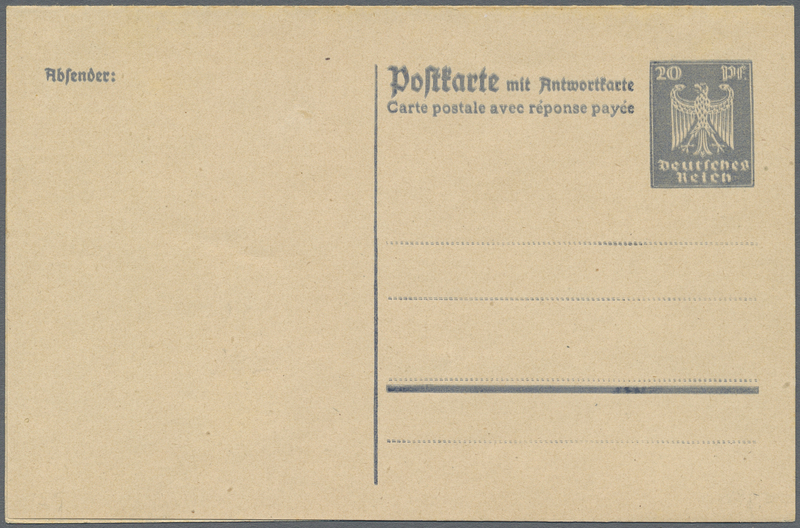 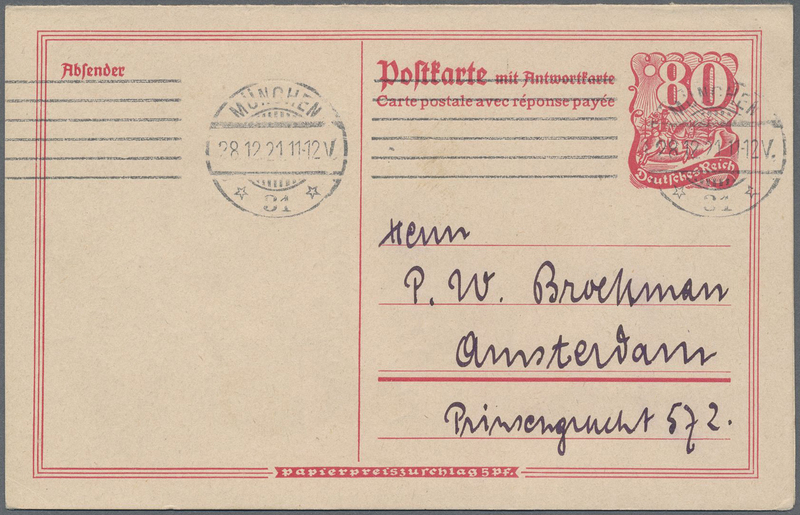 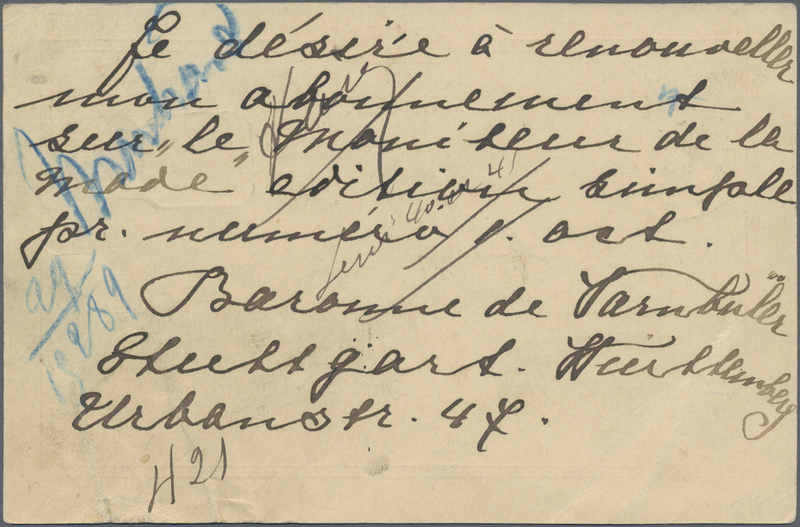 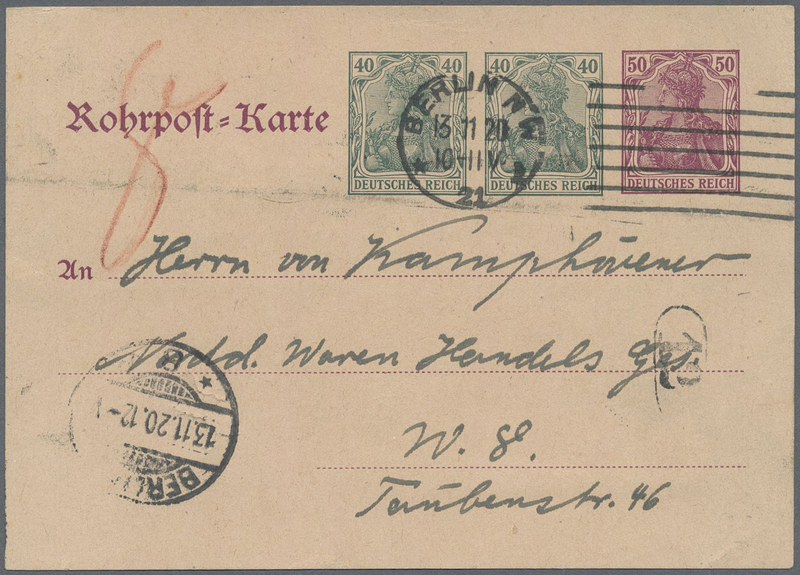 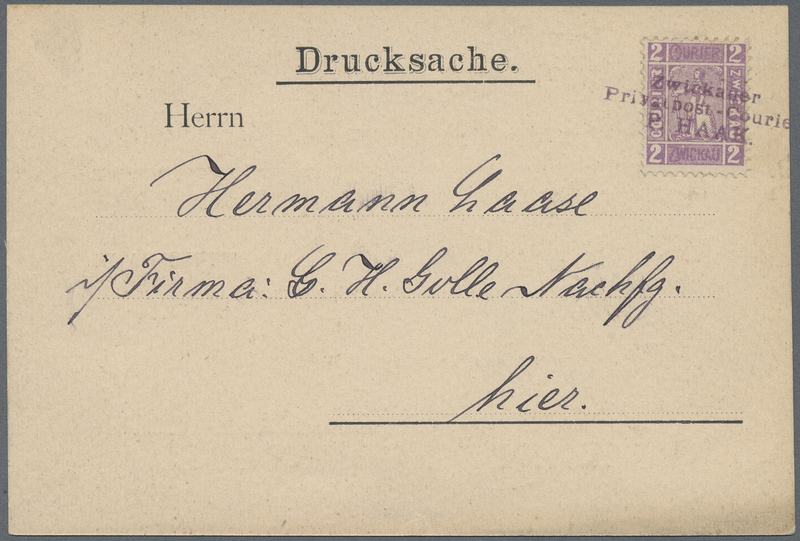 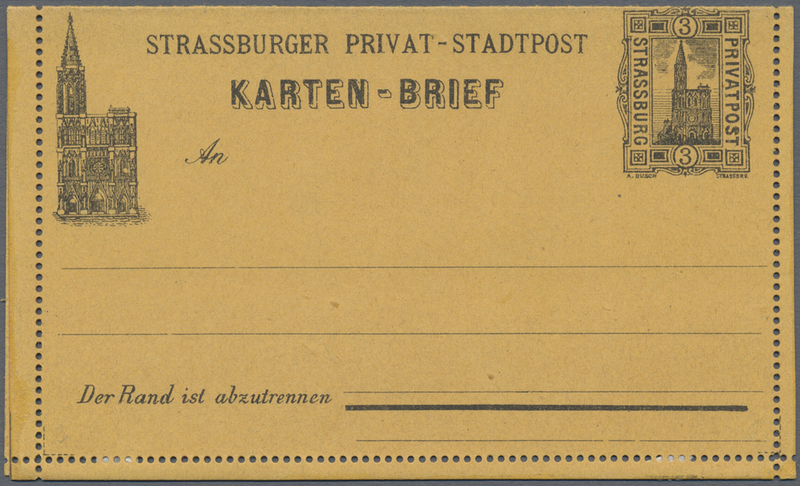 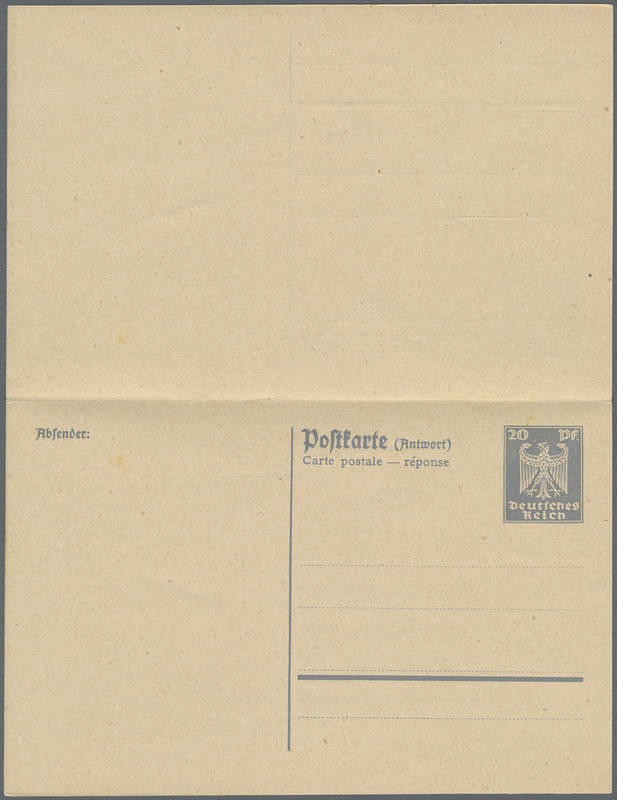 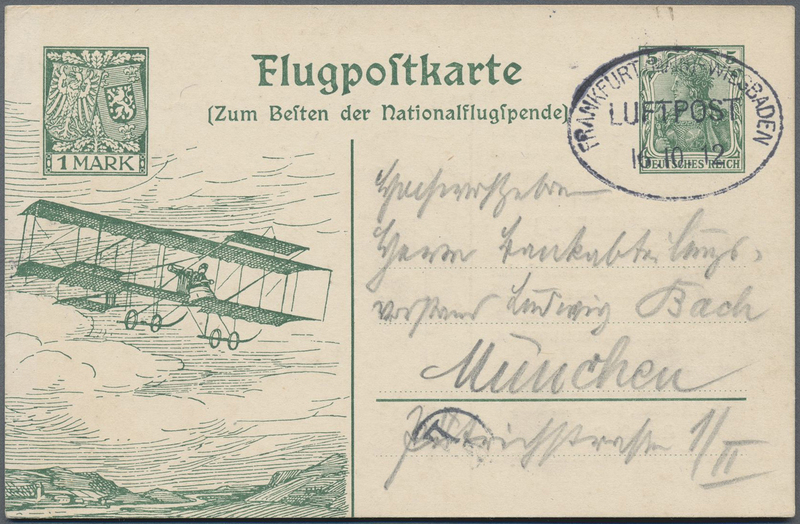 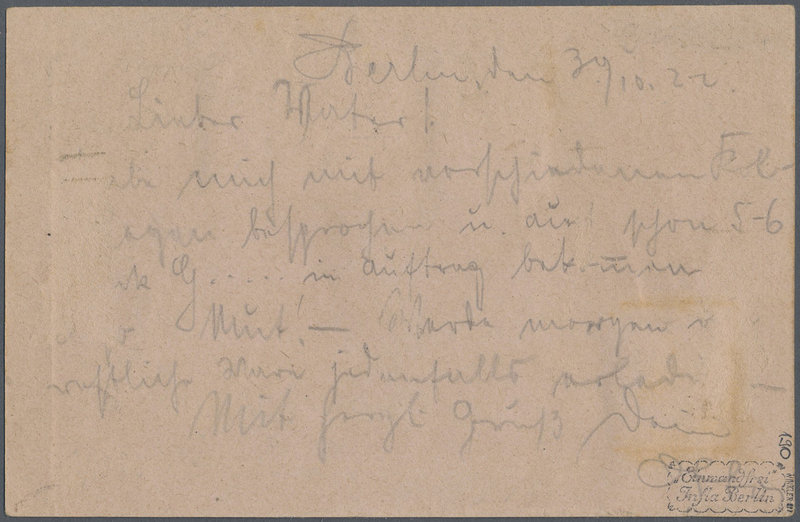 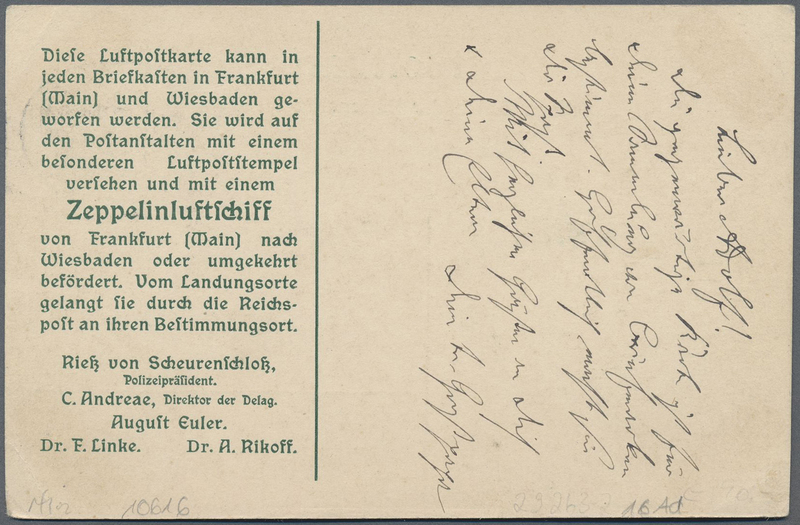 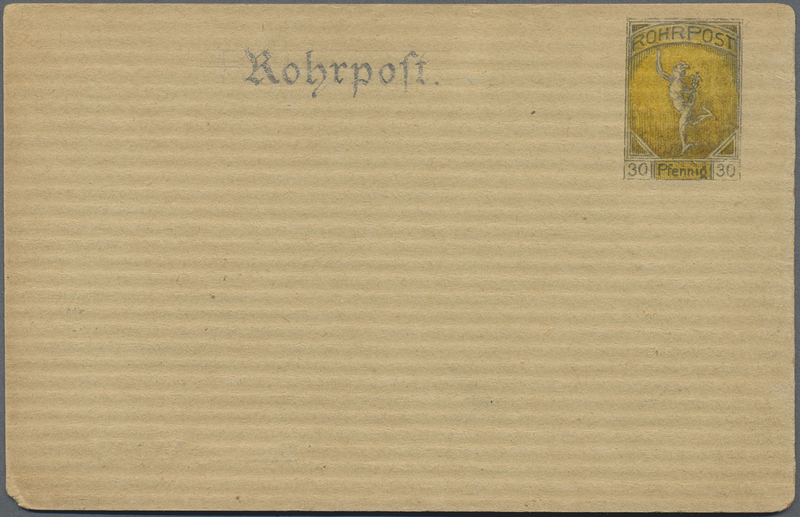 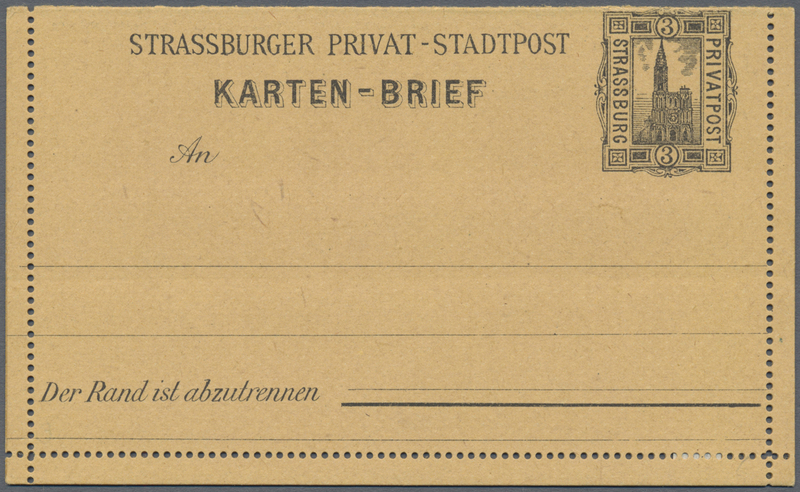 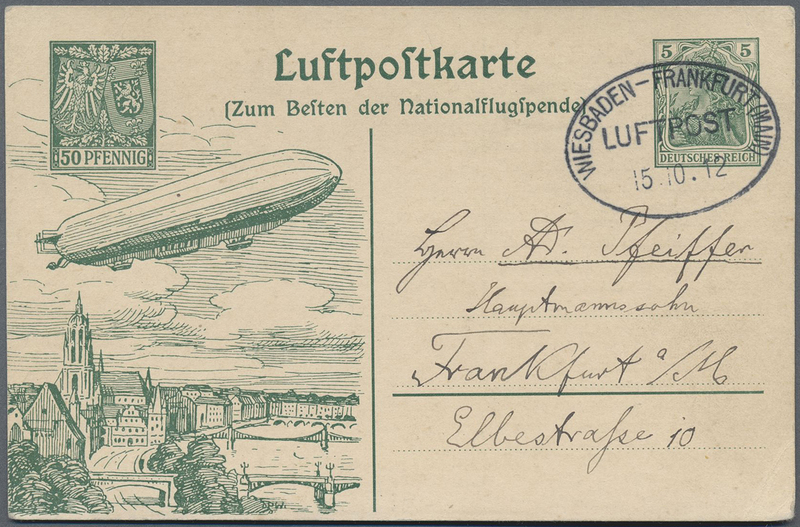 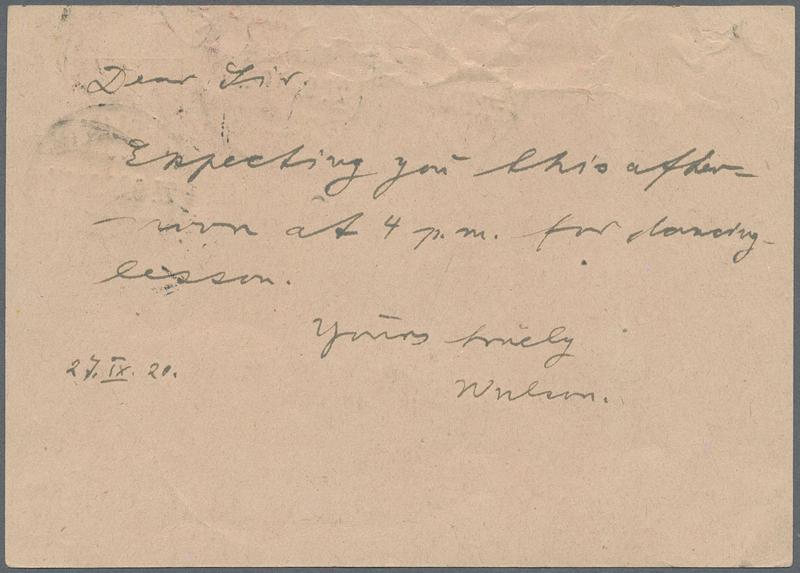 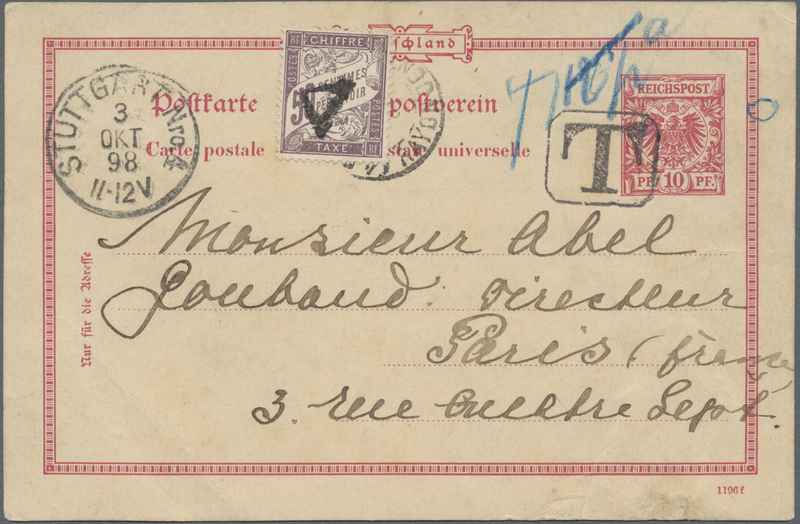 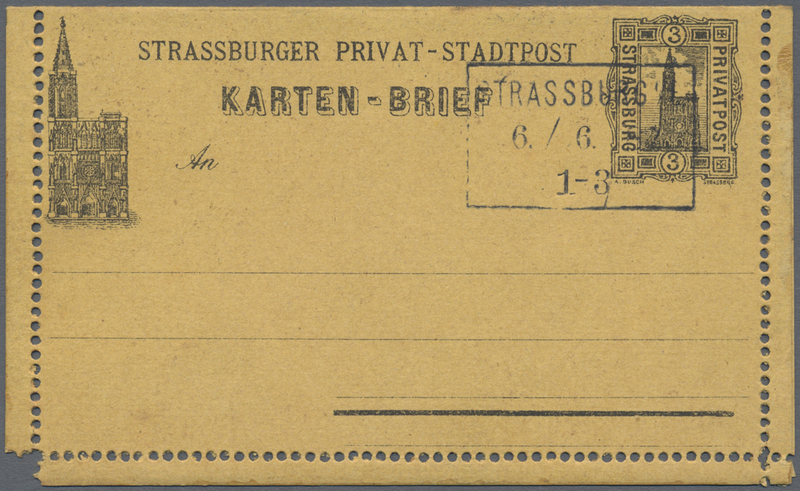 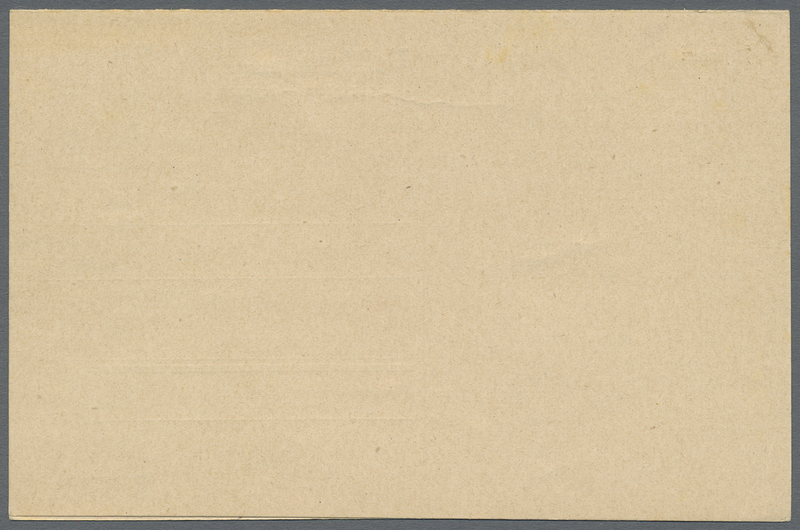 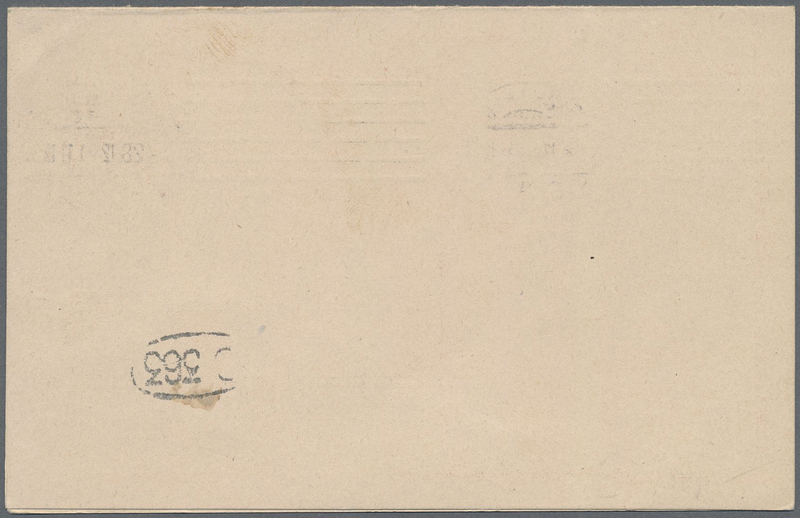 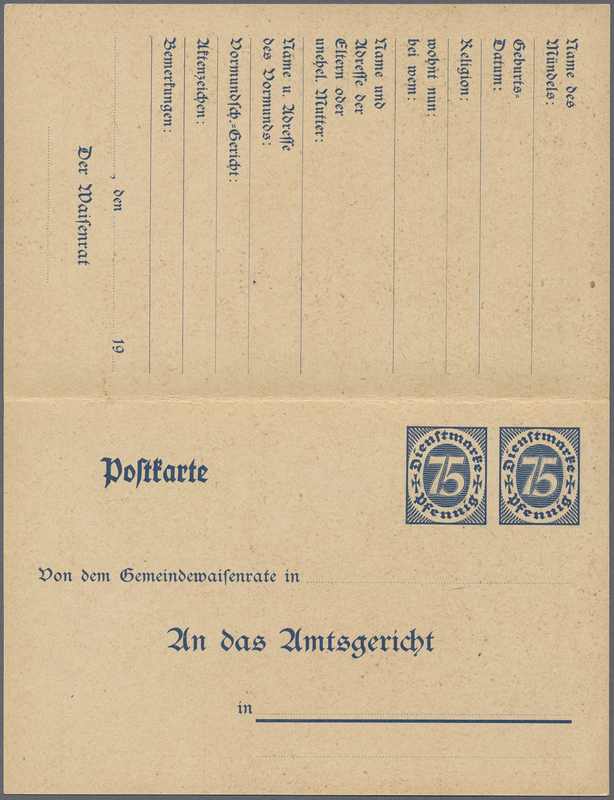 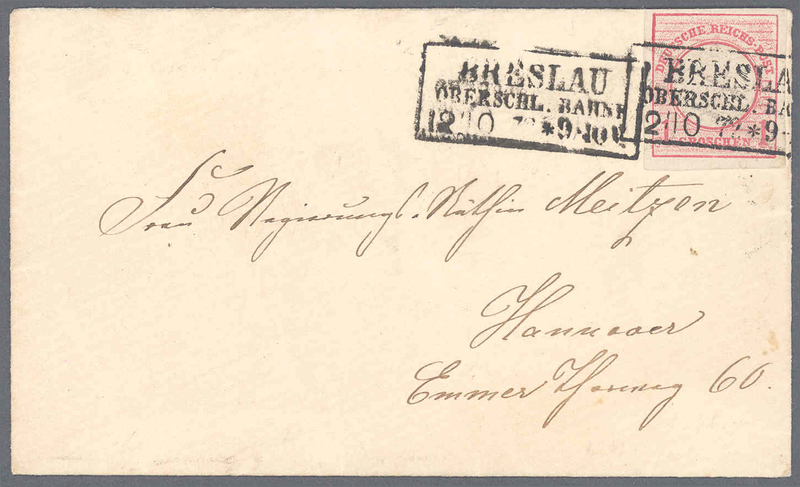 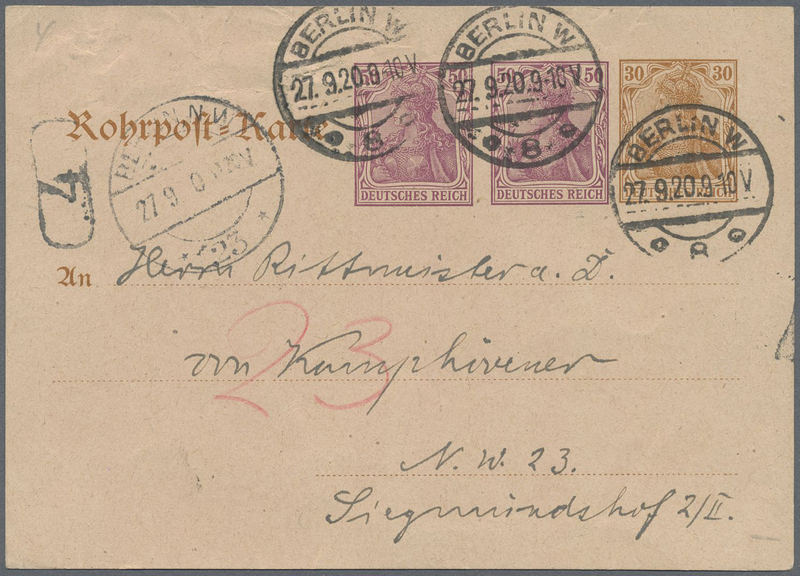 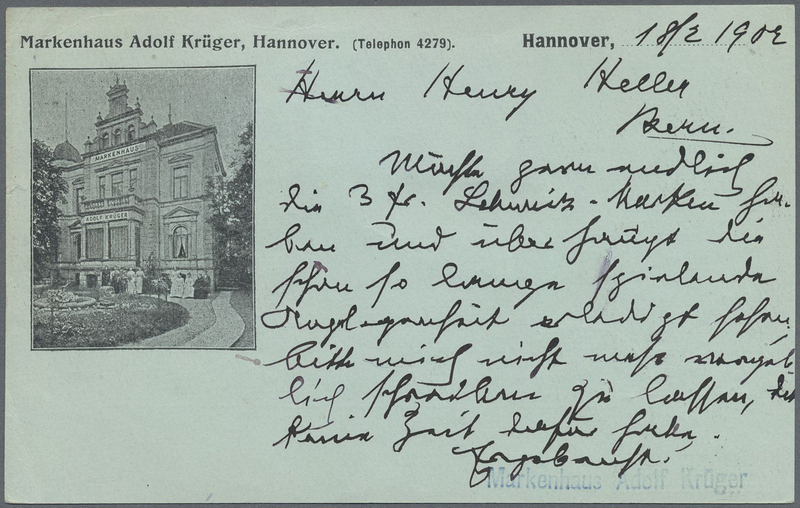 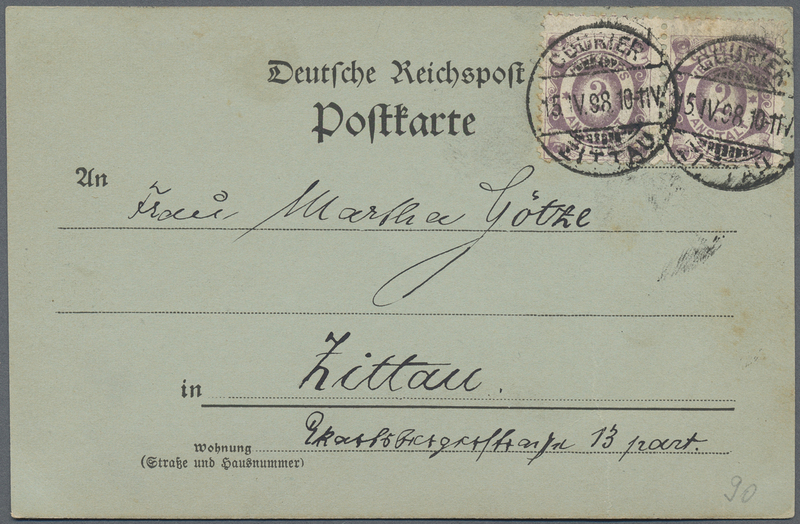 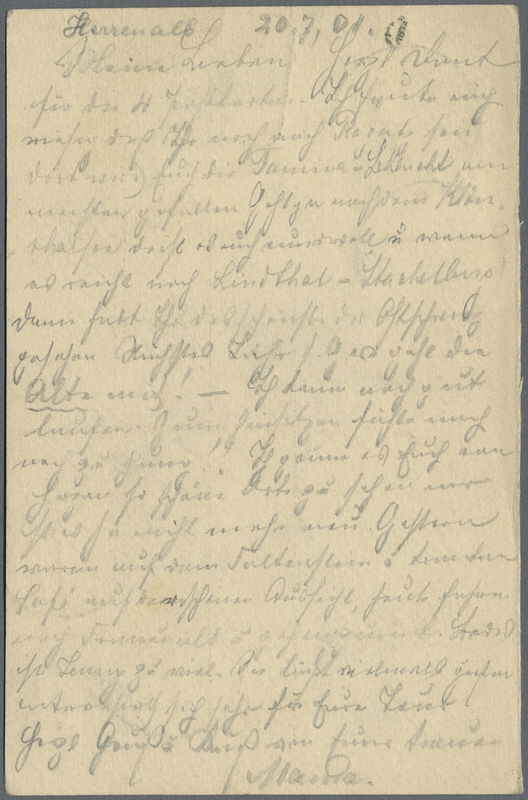 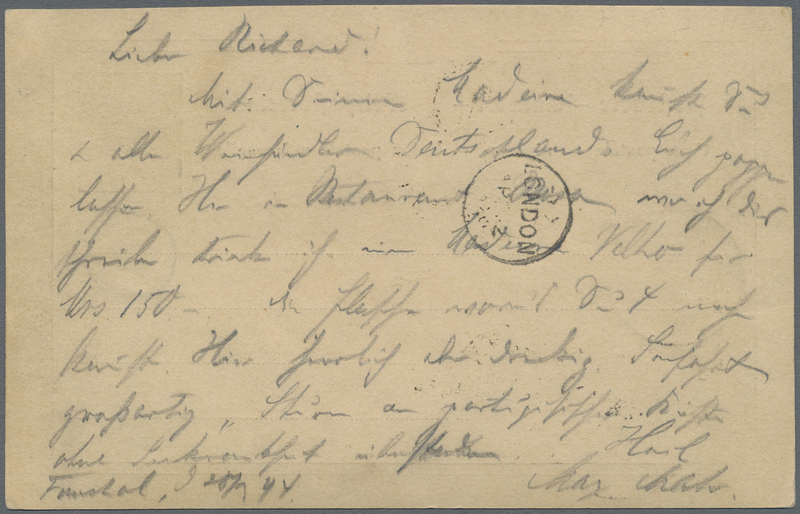 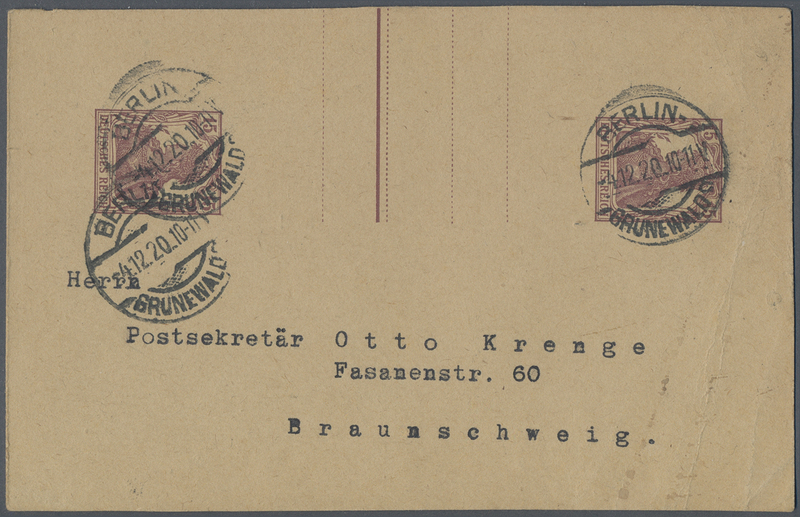 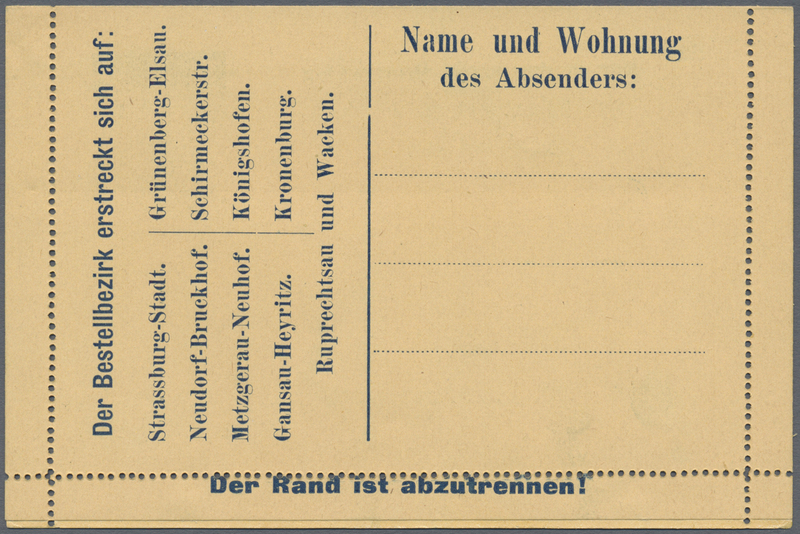 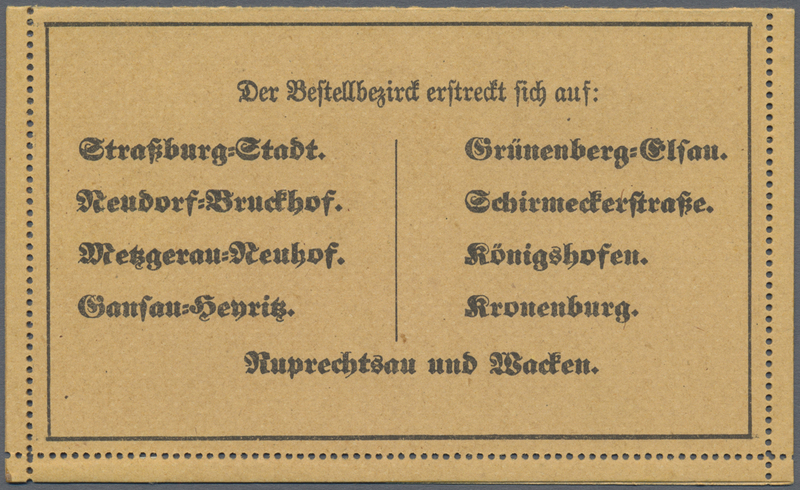 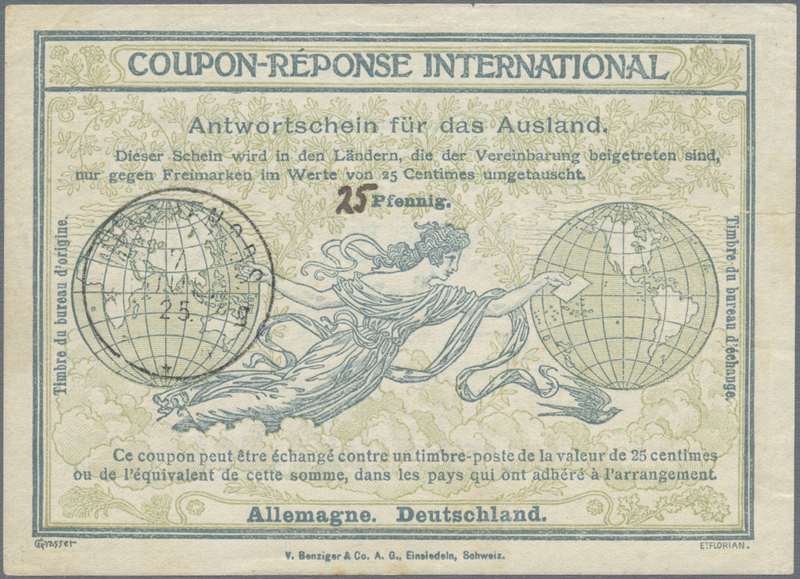 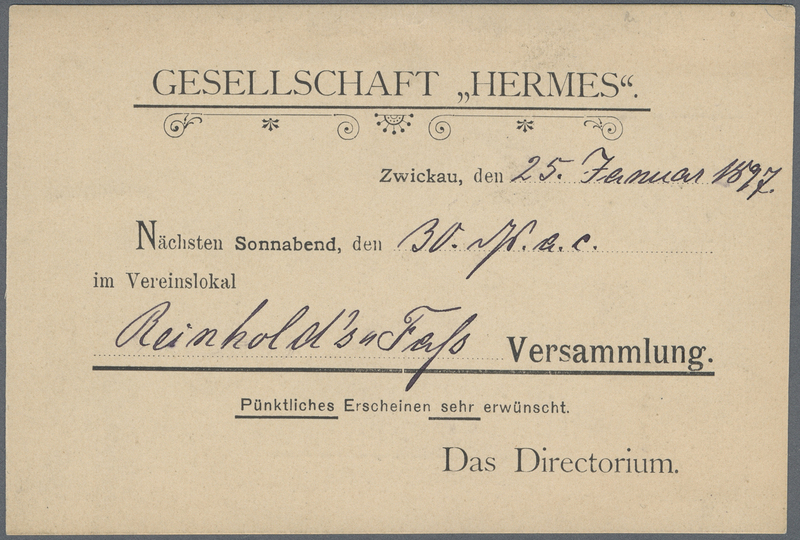 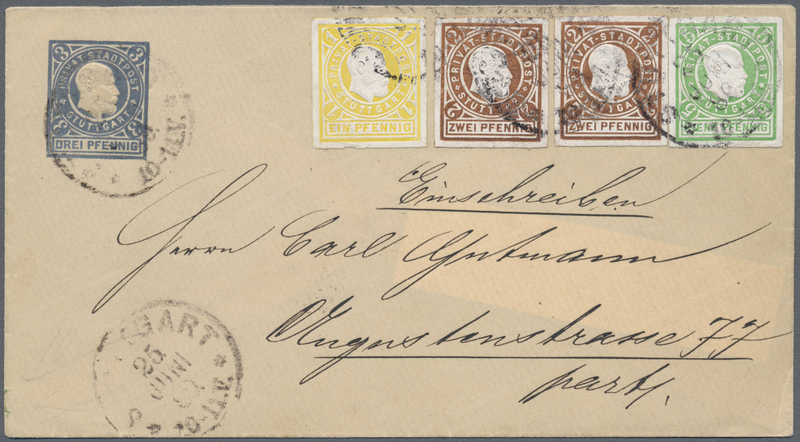 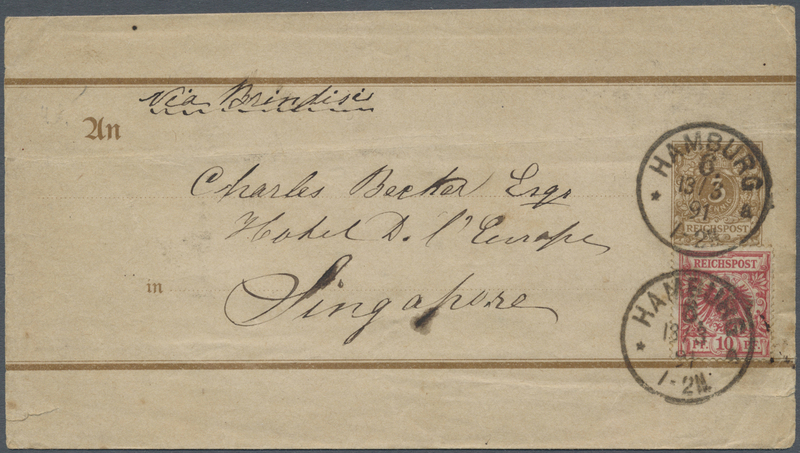 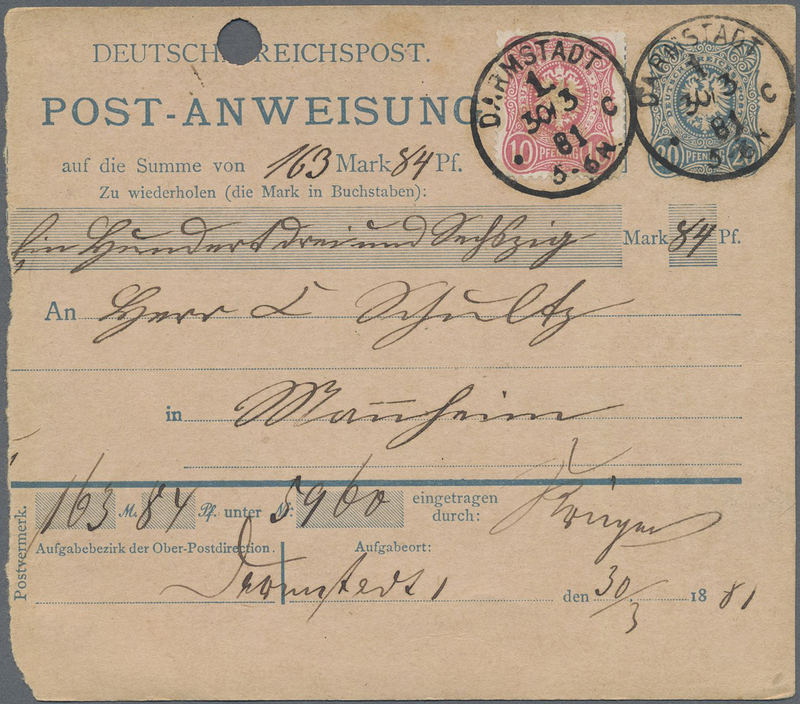 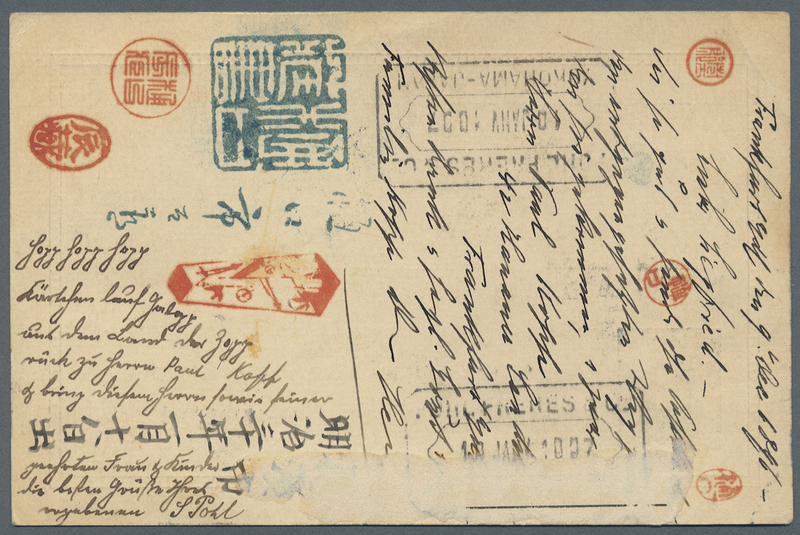 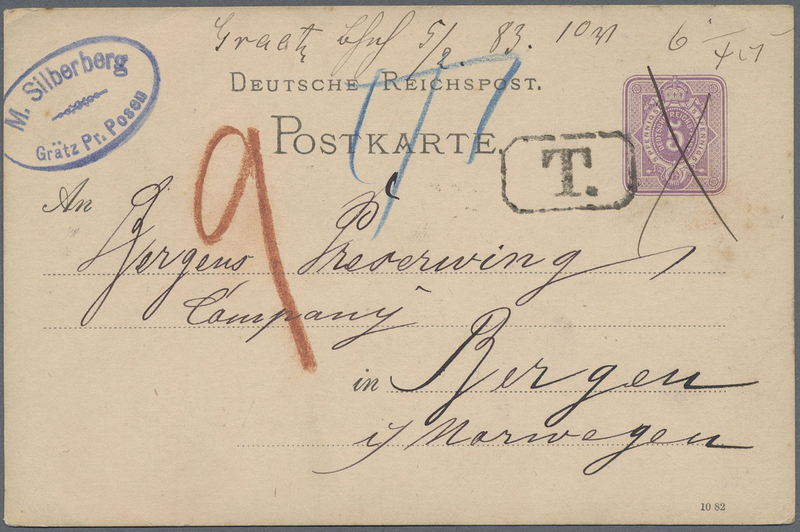 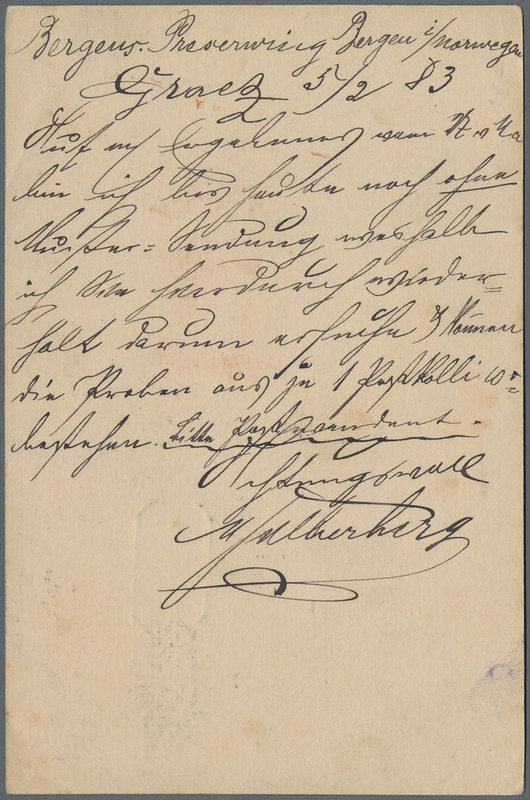 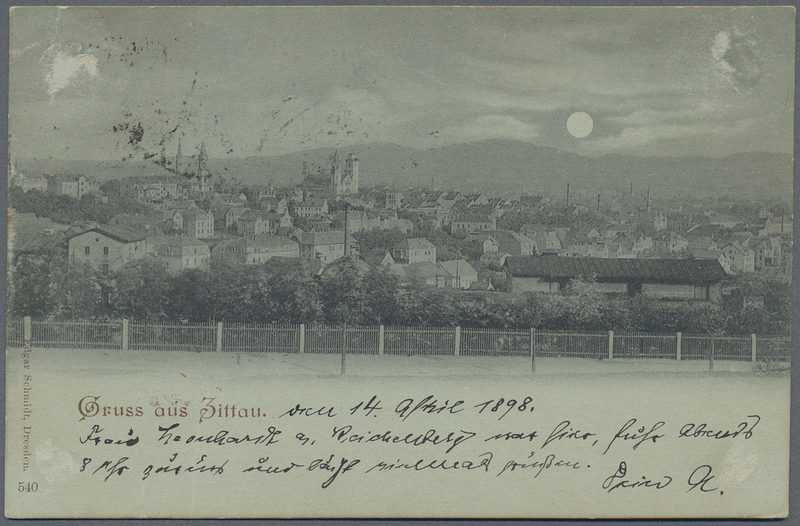 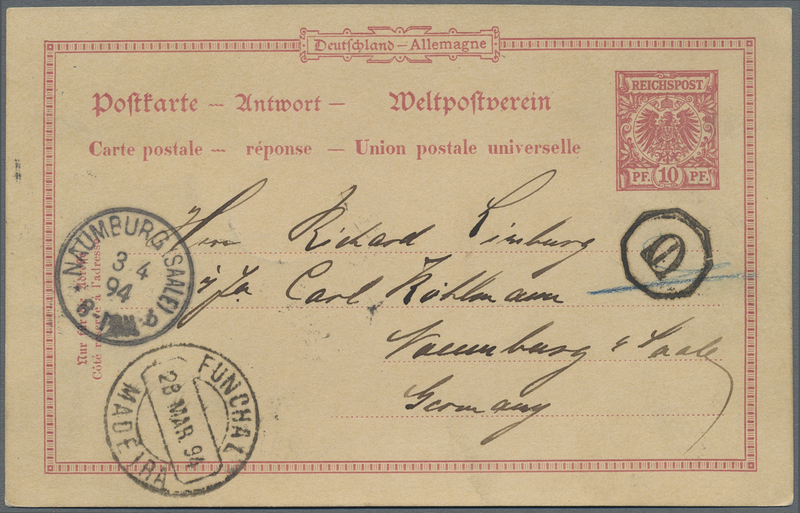 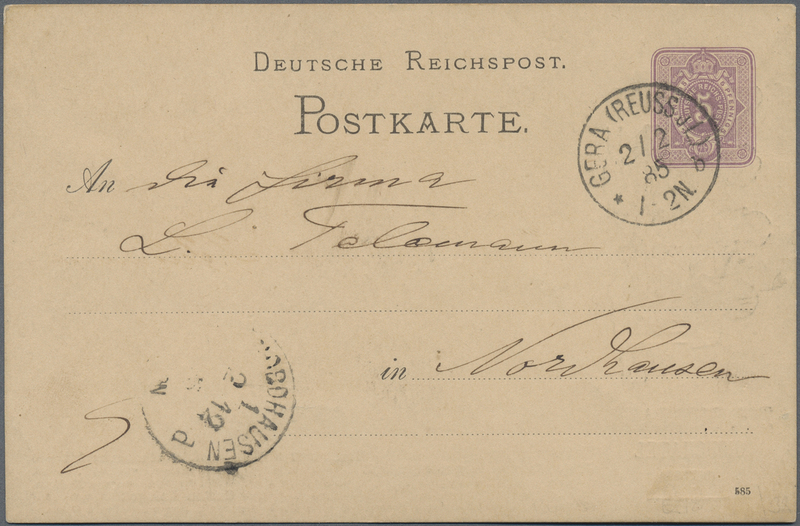 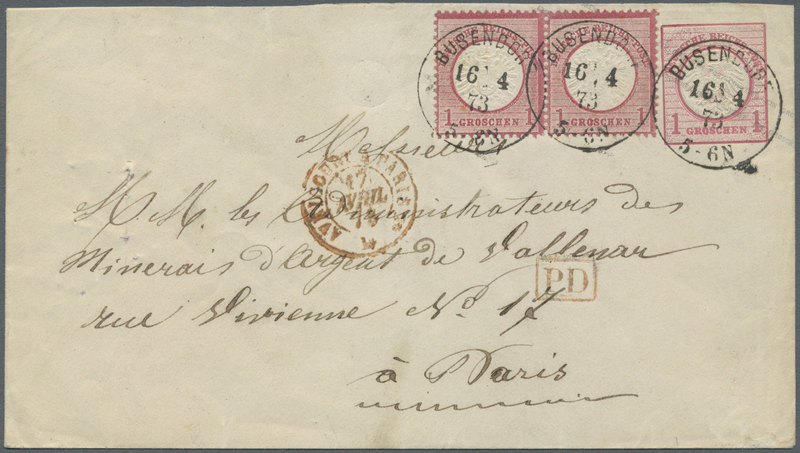 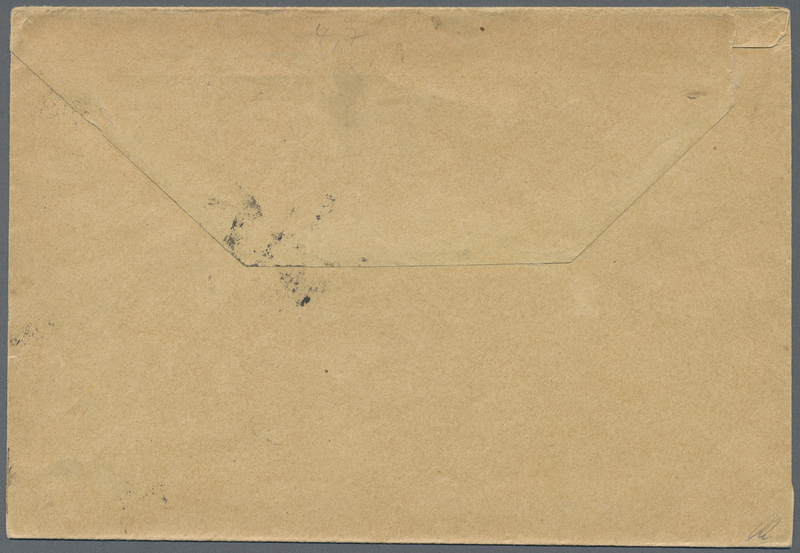 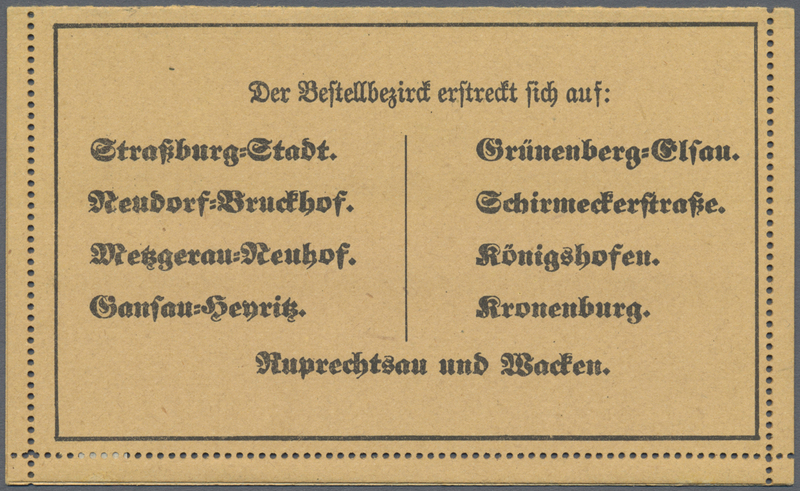 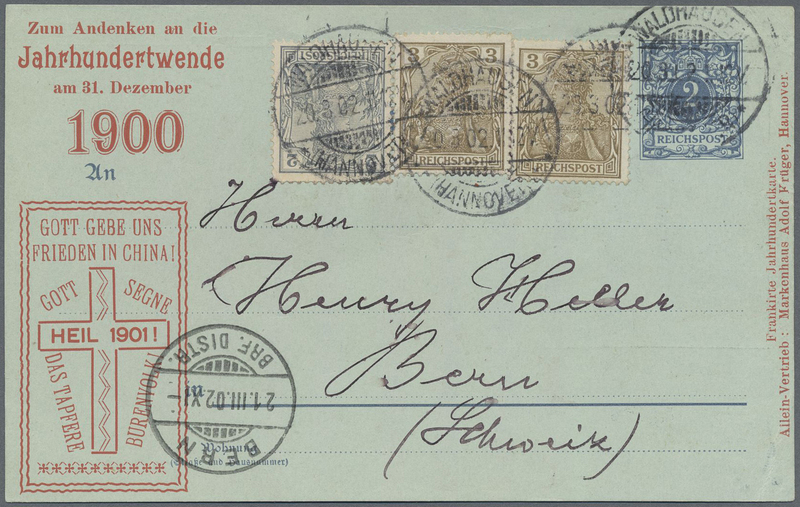 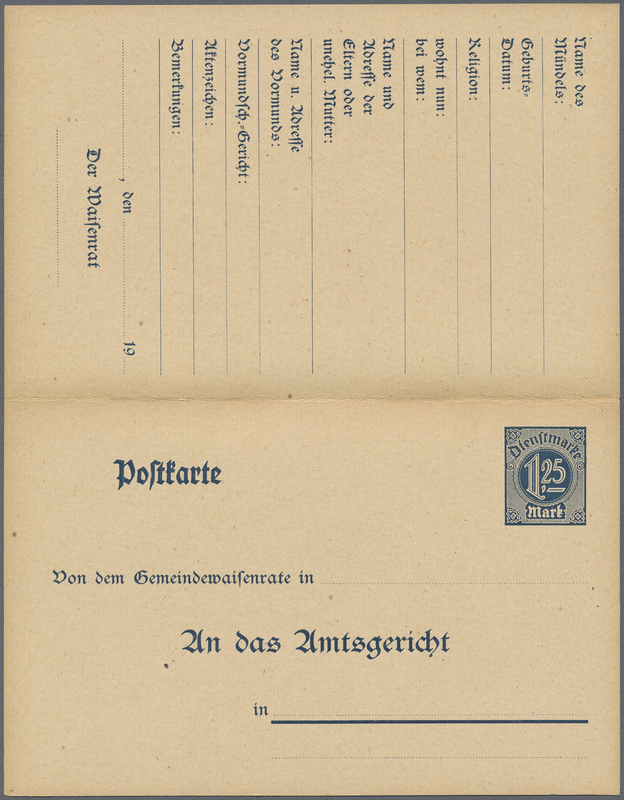 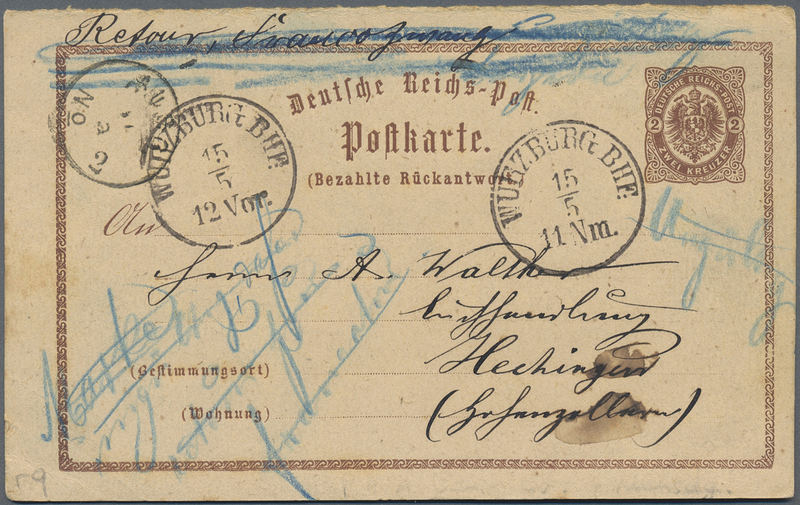 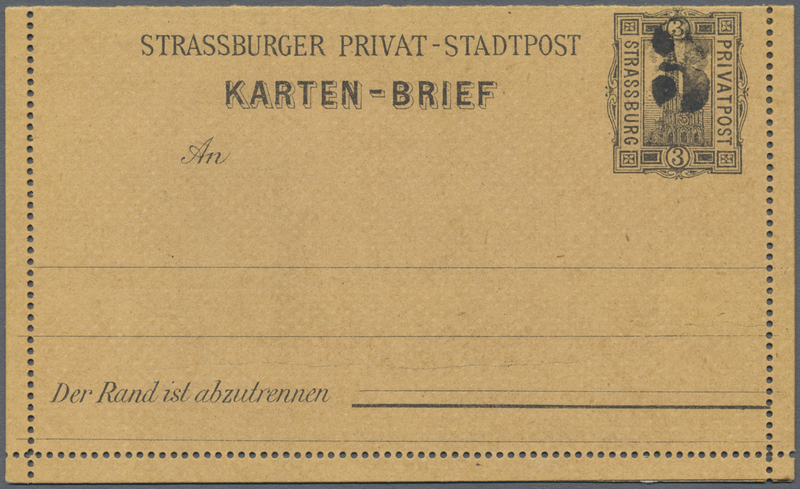 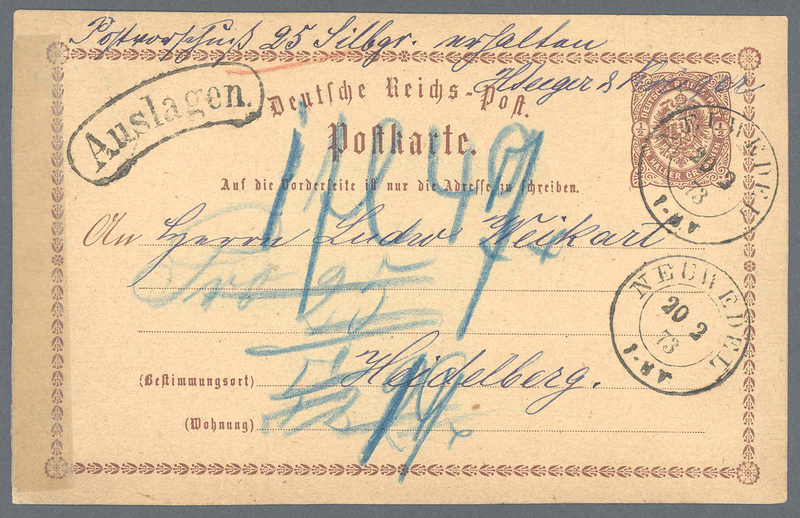 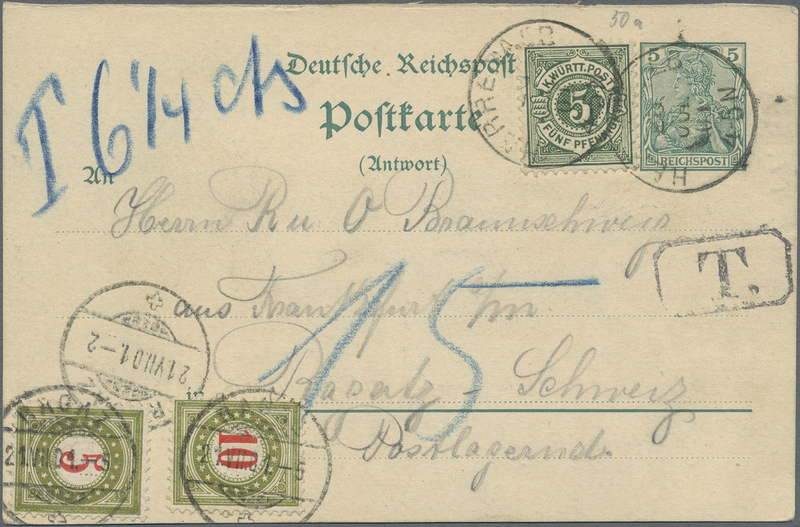 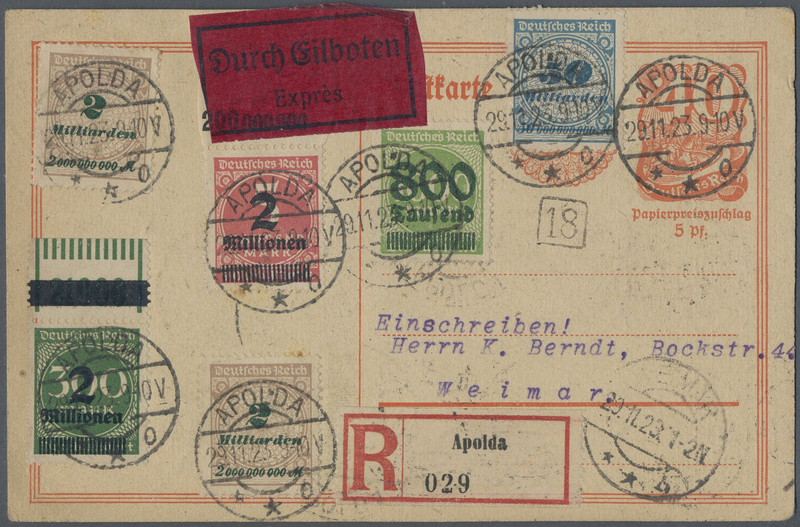 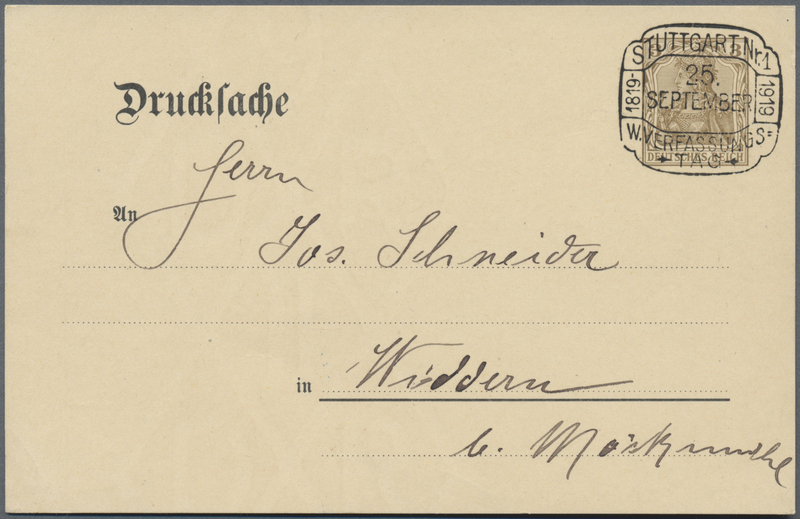 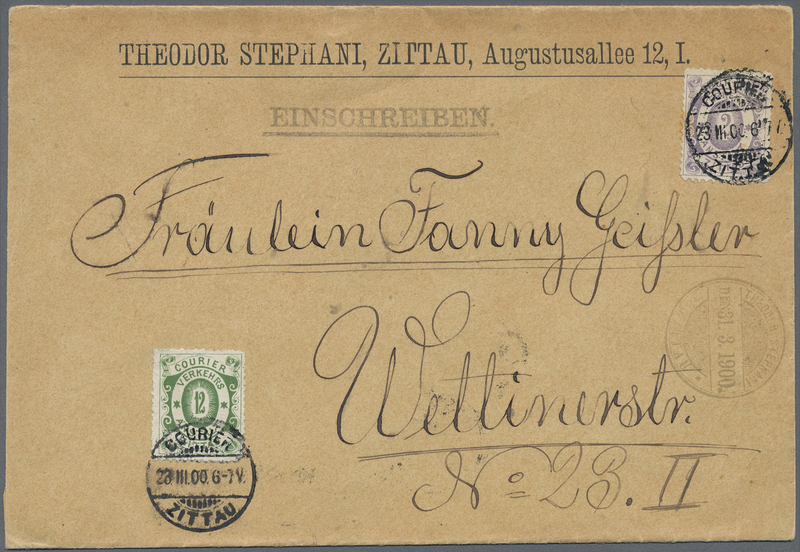 Postal stationery Card for flight of the "Viktoria Luise" Zeppelin, canceled in Wiesbaden. 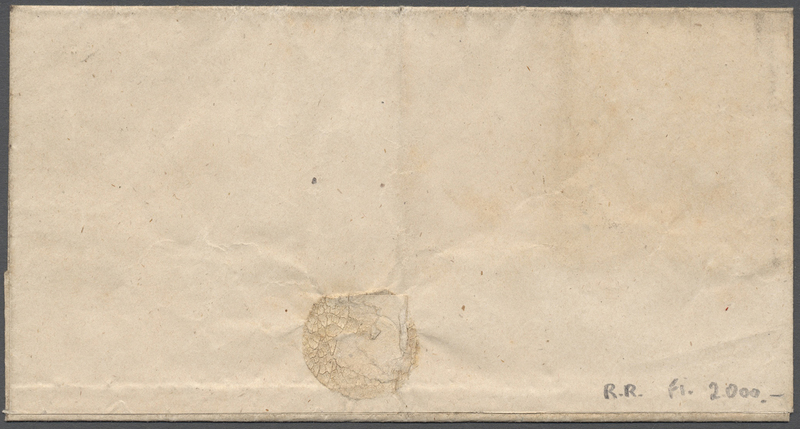 '01 CV EUR175 +++ sent to Janesville, Wisconsin, USA. 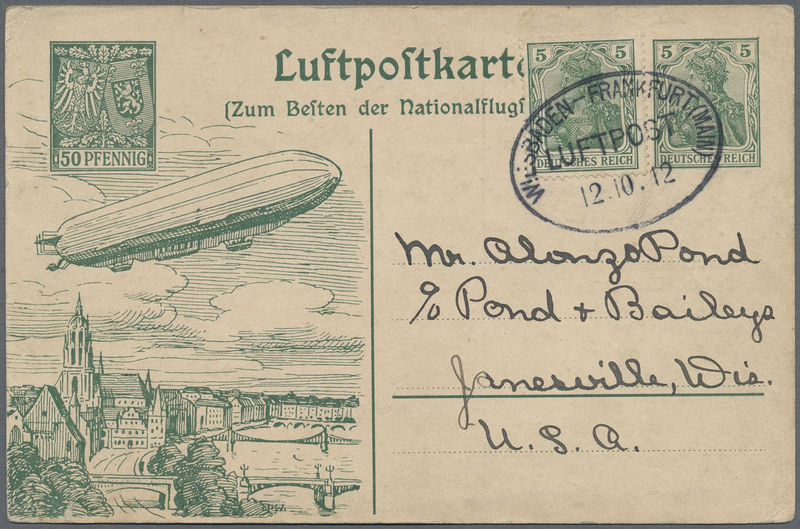 Foreign destinations for these Zeppelins are very rare. 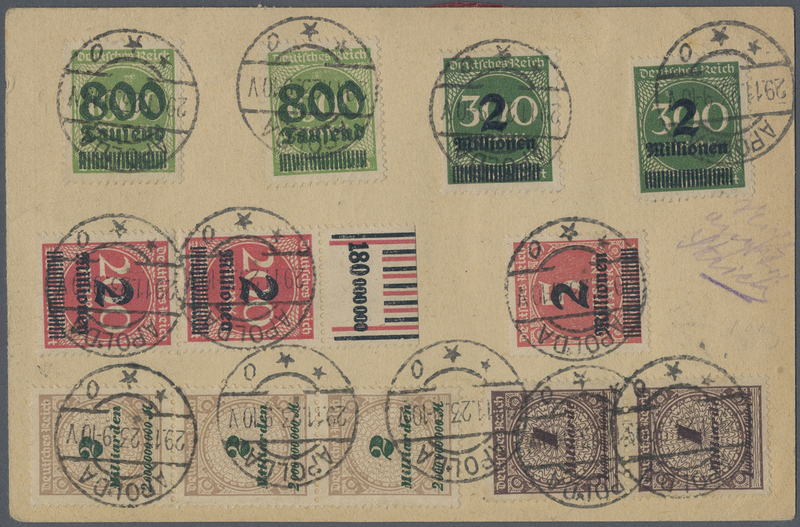 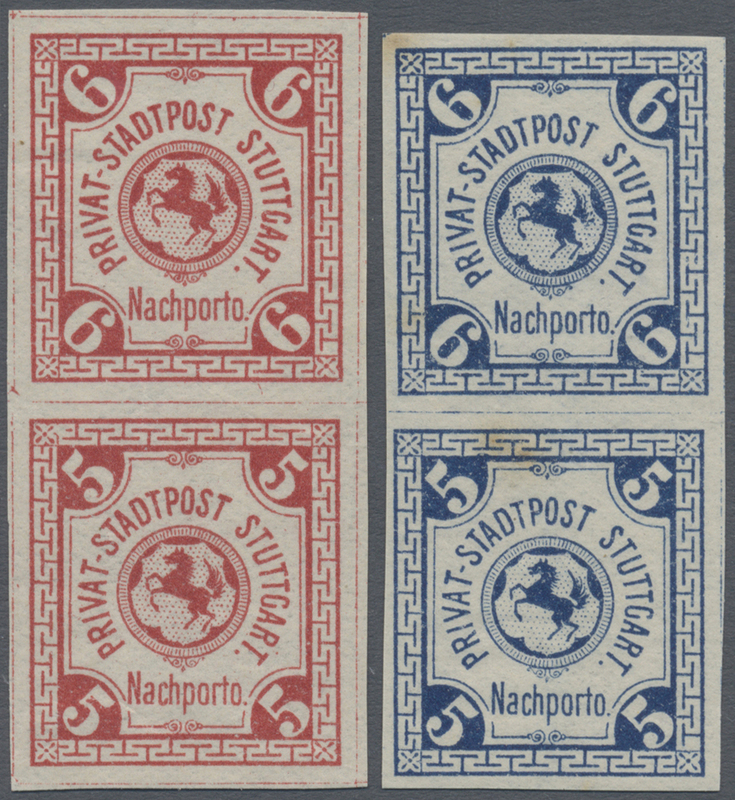 23913 Ganzsache (Complete) 1923. 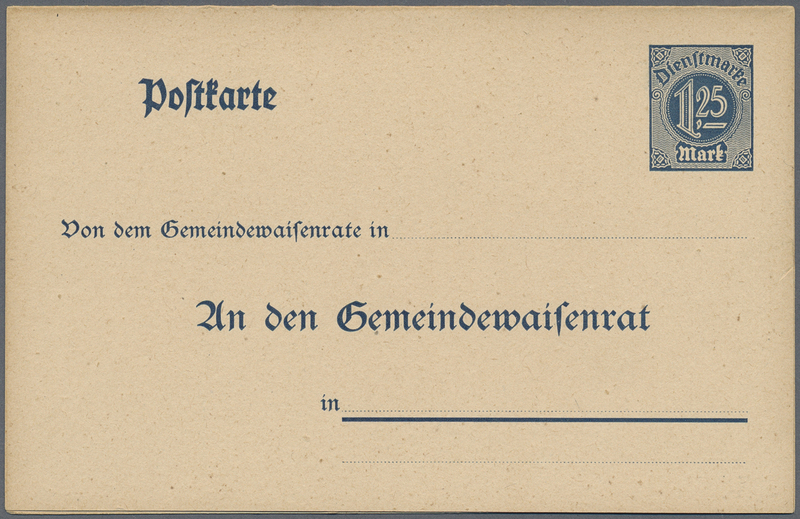 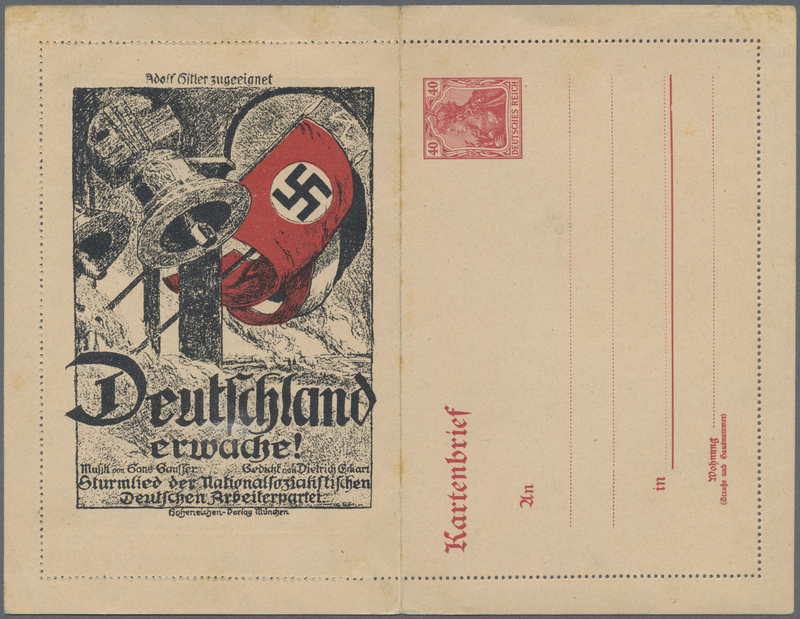 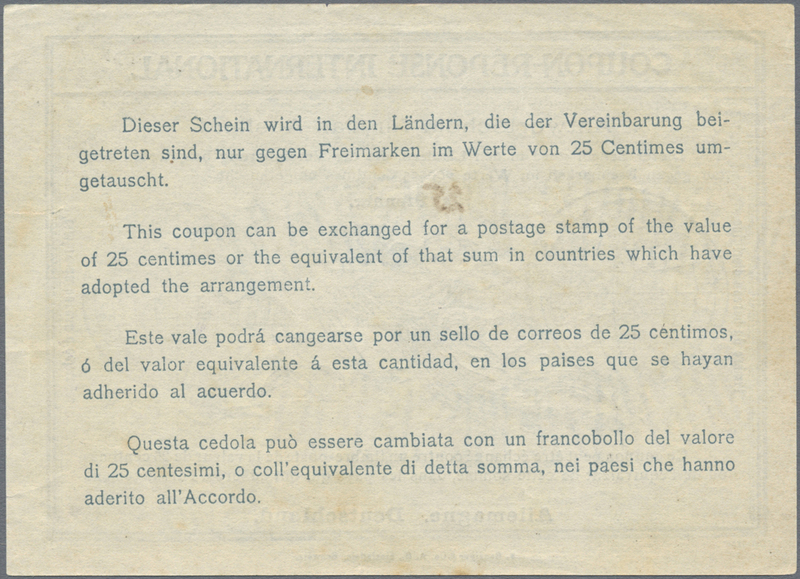 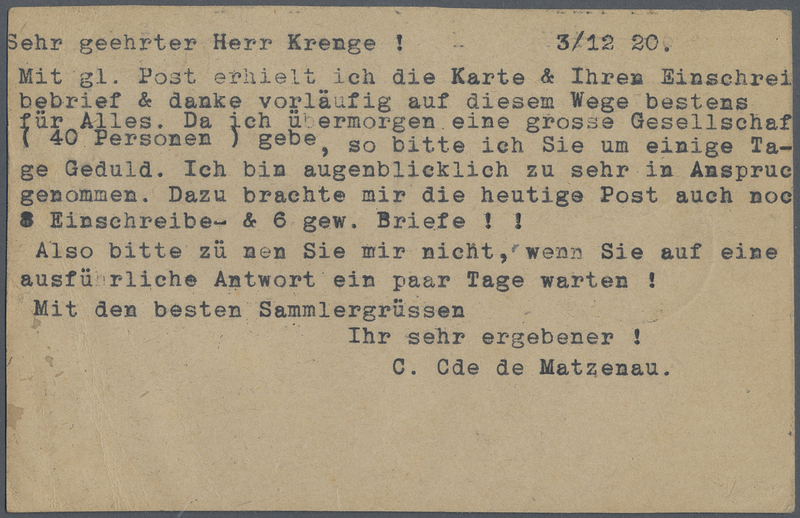 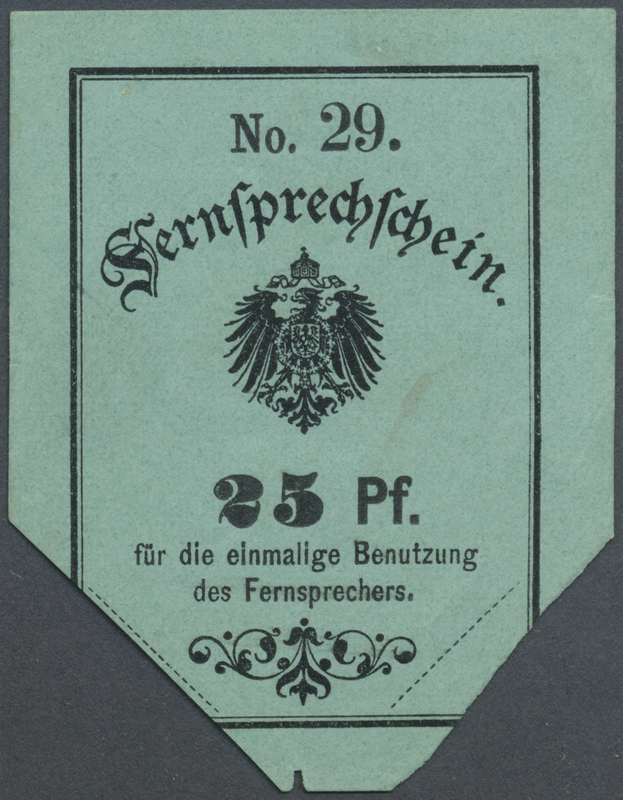 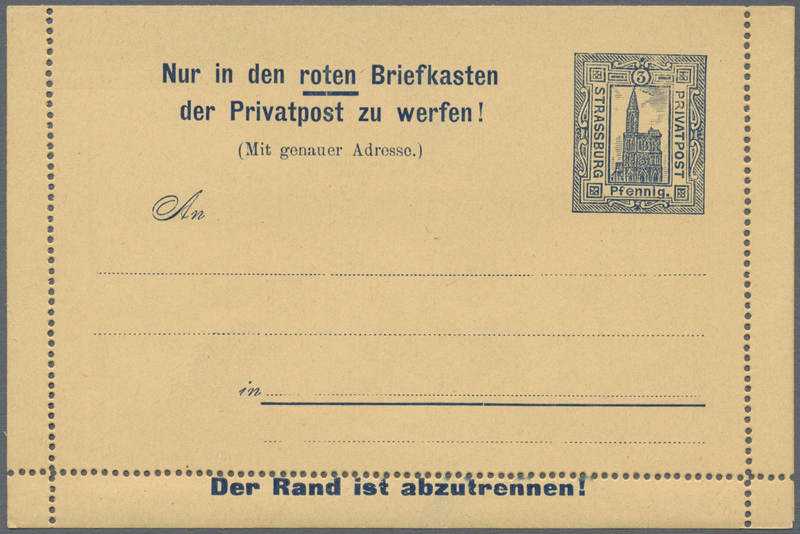 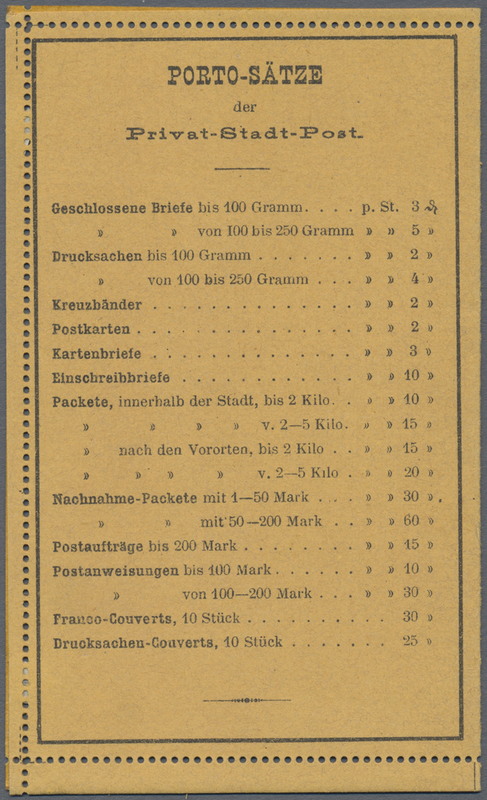 Scarce Germania Ganzsachen Kartenbrief / postal stationery letter-card overprinted with early -- 1923! -- Deutschland Erwache / Germany Awaken! 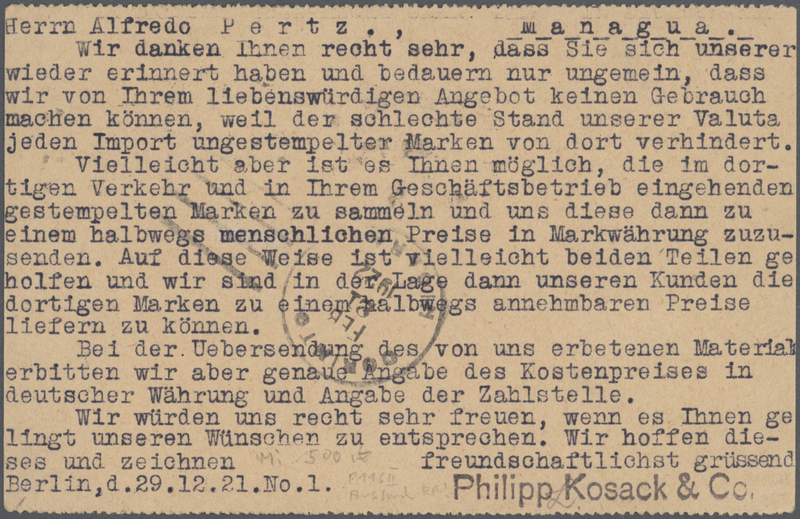 advertisement of the NASDAP (Nazi party). 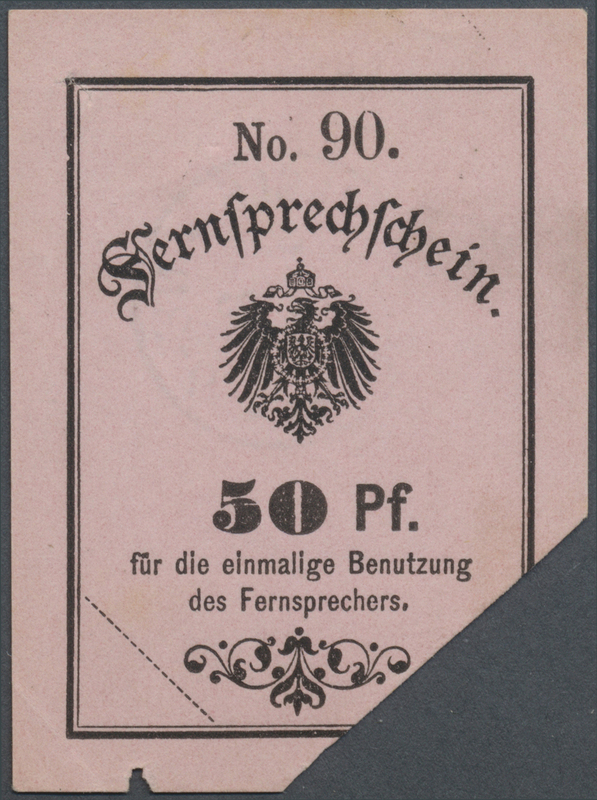 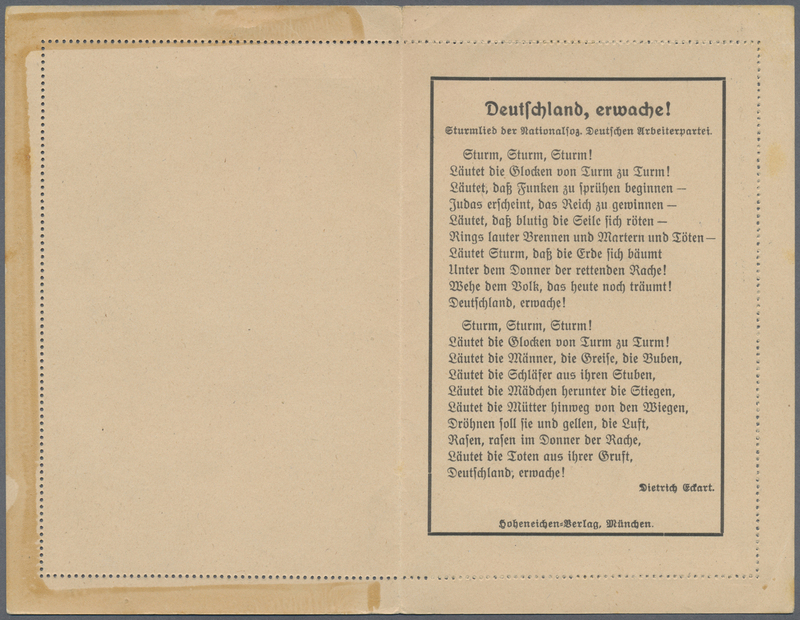 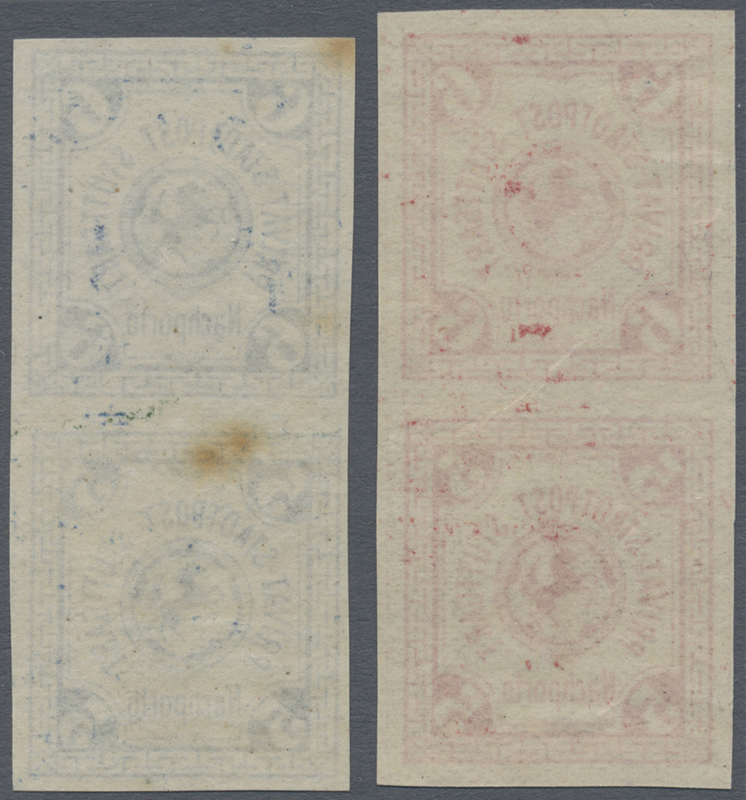 In very good condition; the variety with the printed lyrics of Deutschland Erwache inside. 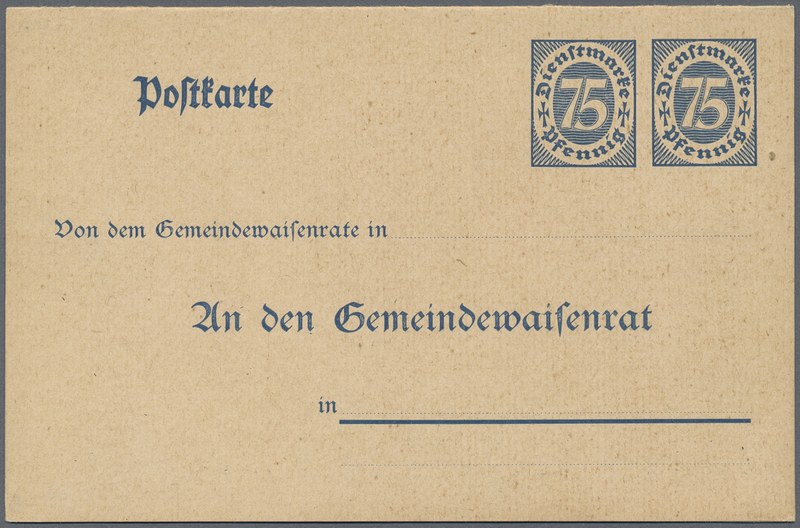 23914 Ganzsache (Complete) 1923, Scarce Germania Ganzsachen Kartenbrief / postal stationery letter-card overprinted with early -- 1923! 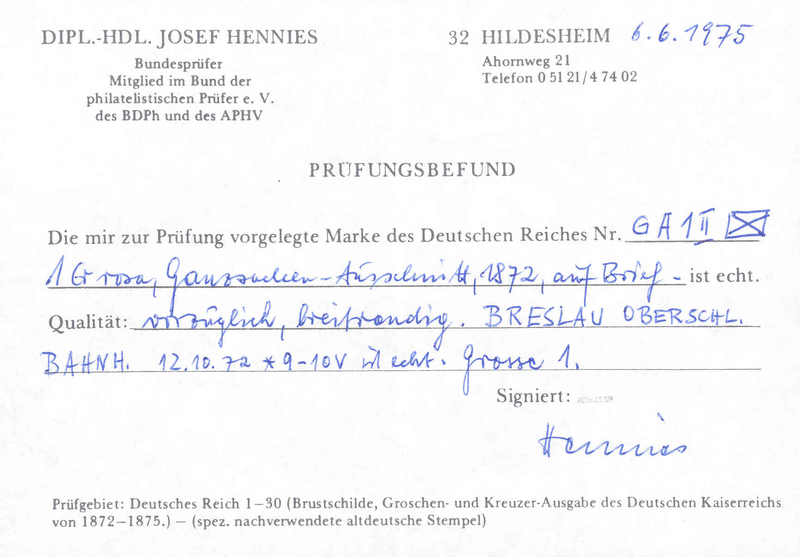 -- Deutschland Erwache / Germany Awaken! 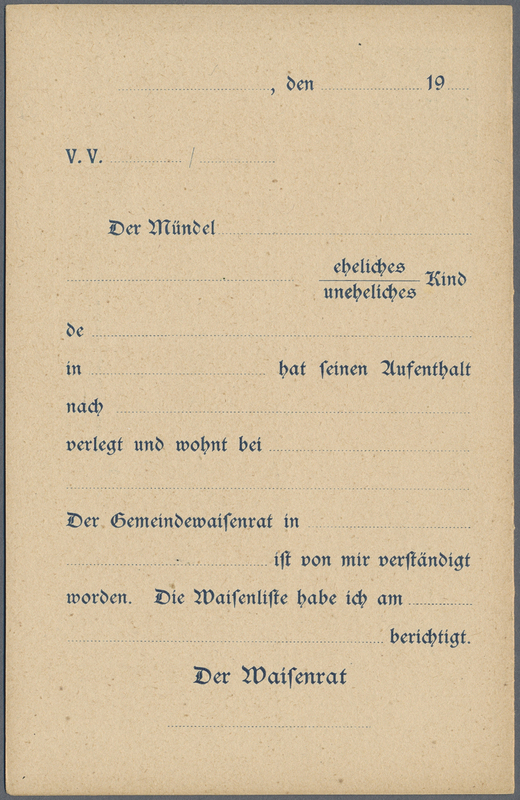 advertisement of the NASDAP (Nazi party). 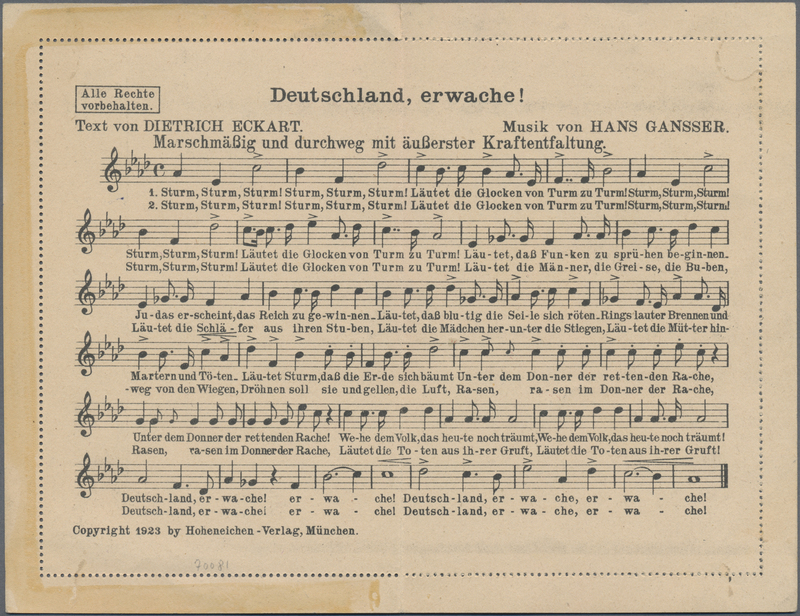 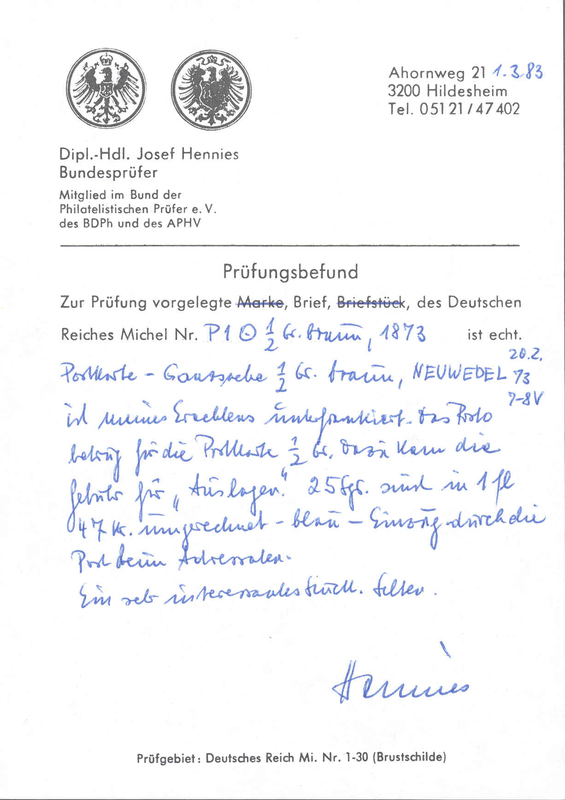 In very good condition; the variety with the printed music of Deutschland Erwache inside!